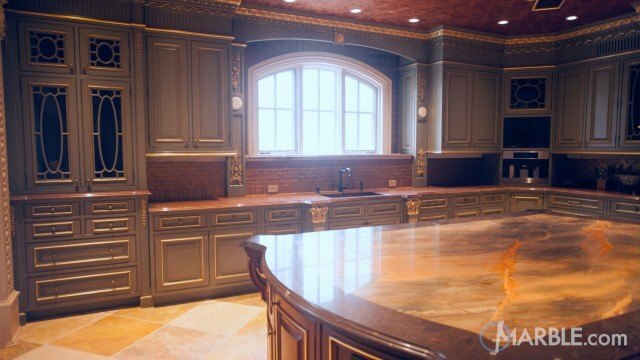 What an incredible room! 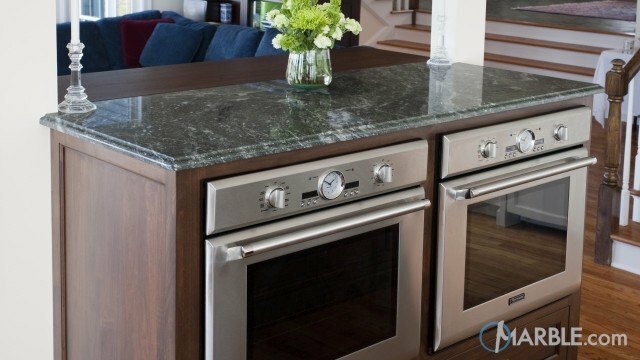 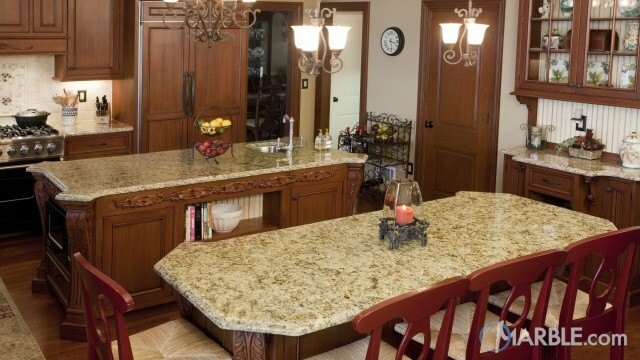 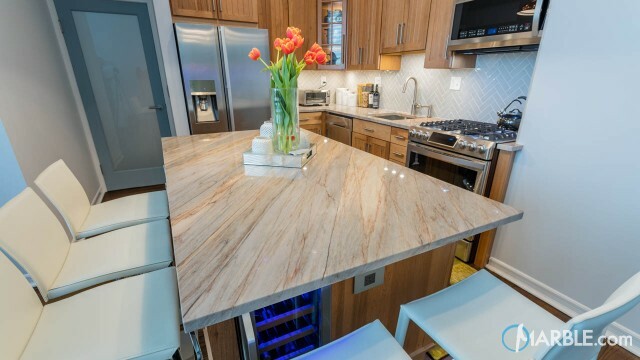 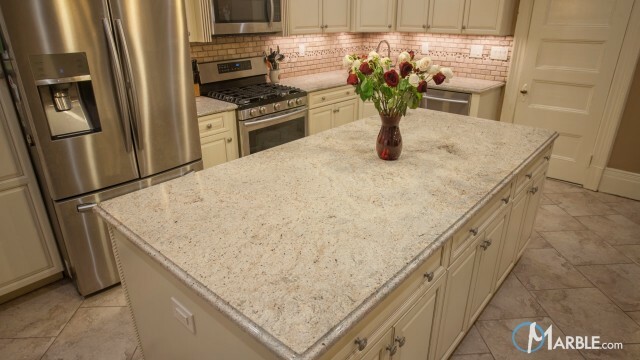 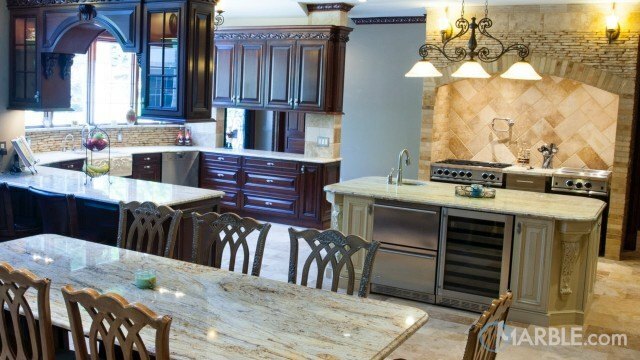 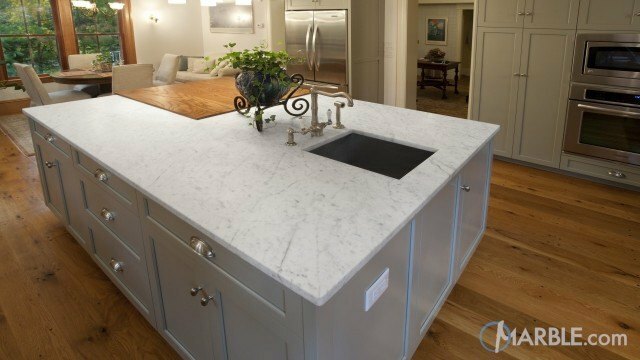 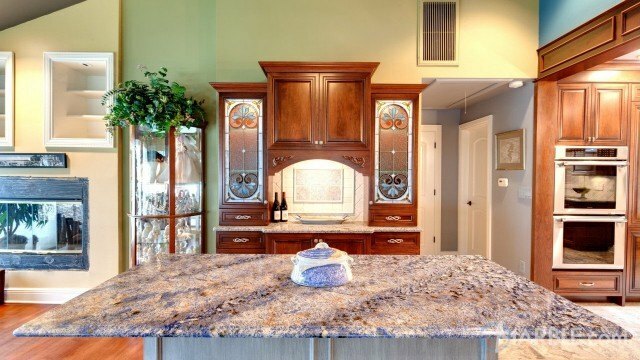 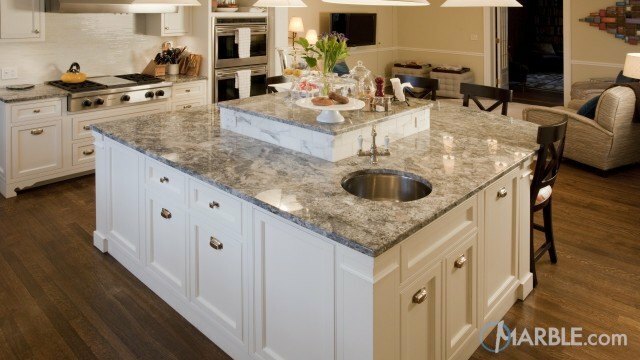 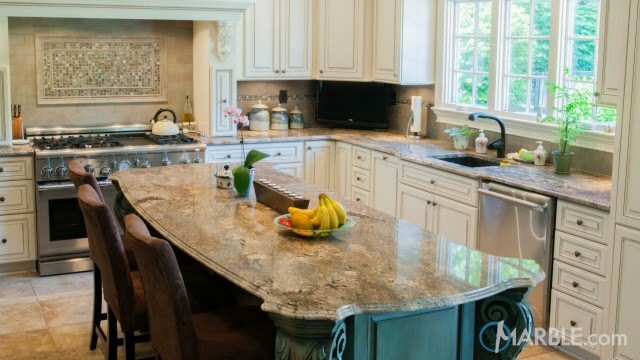 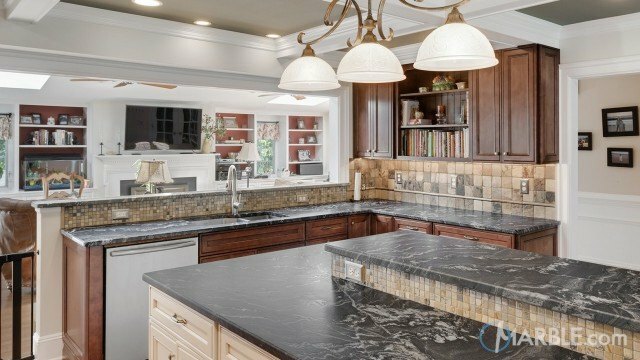 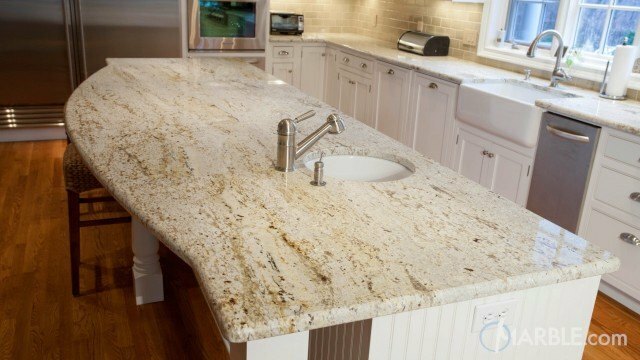 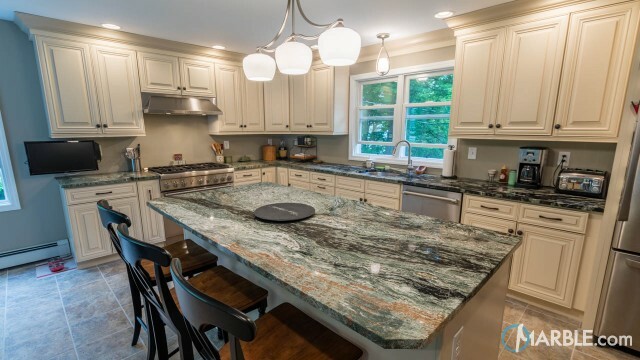 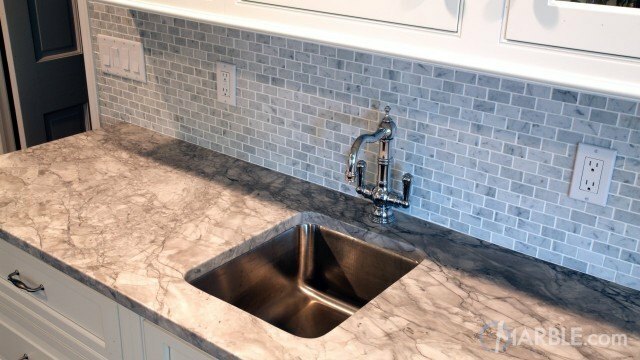 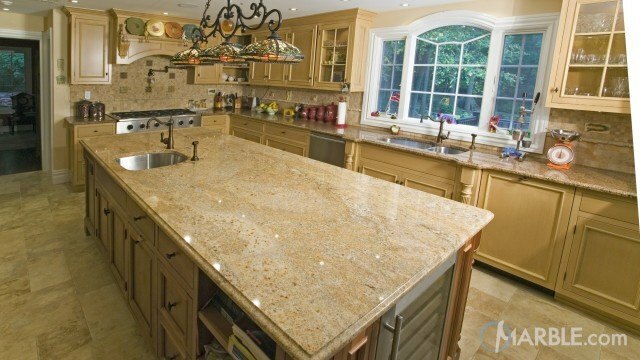 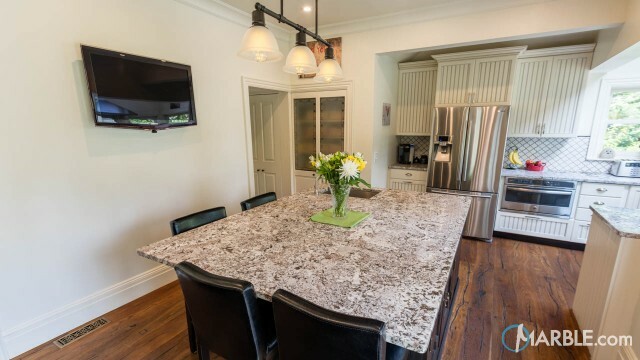 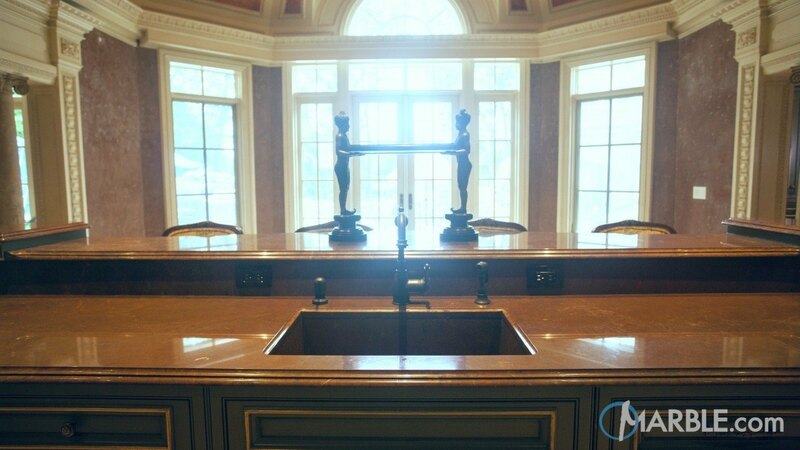 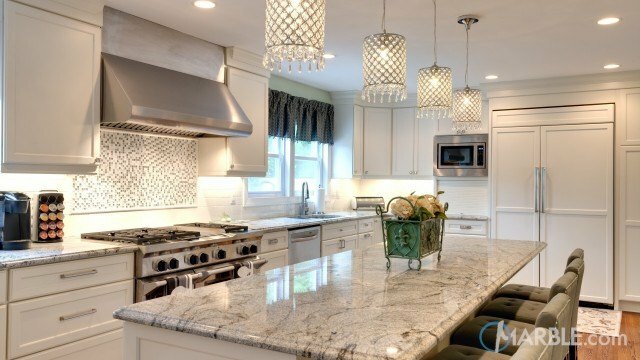 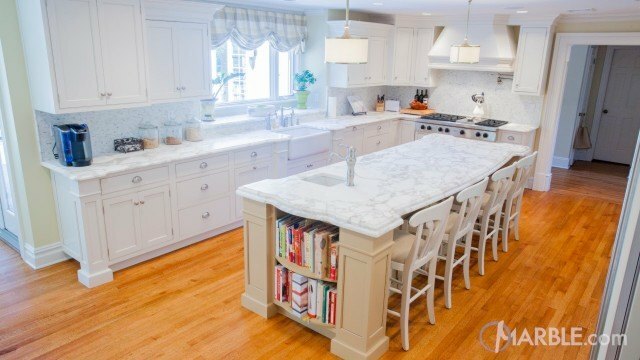 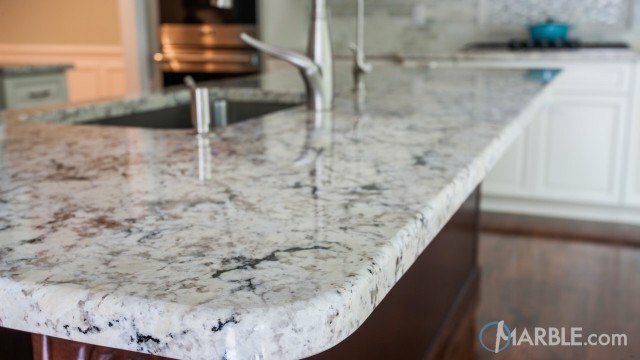 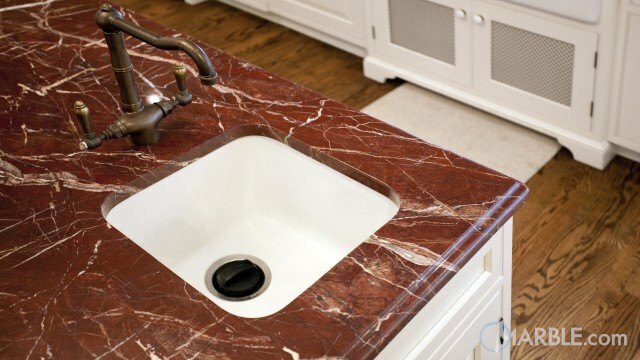 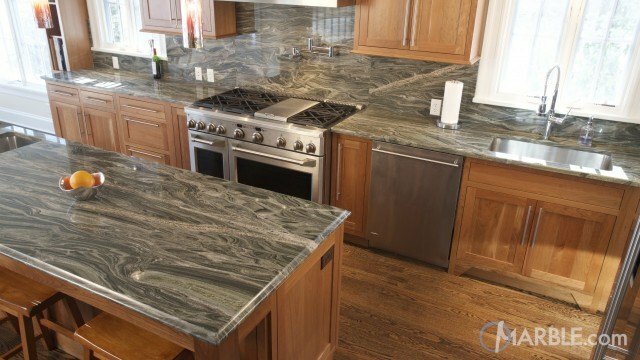 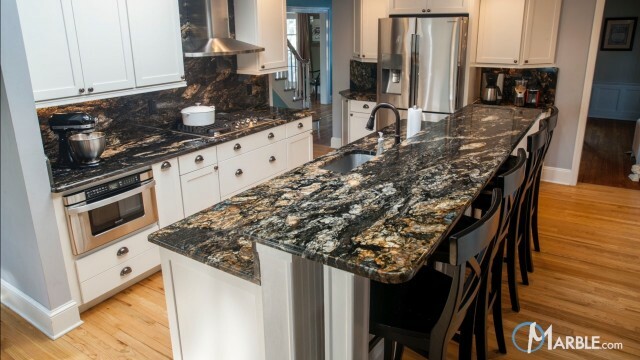 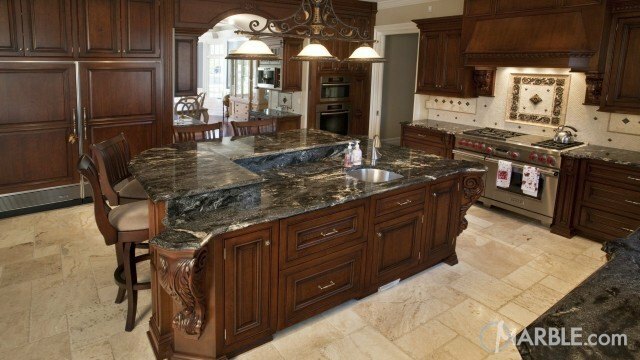 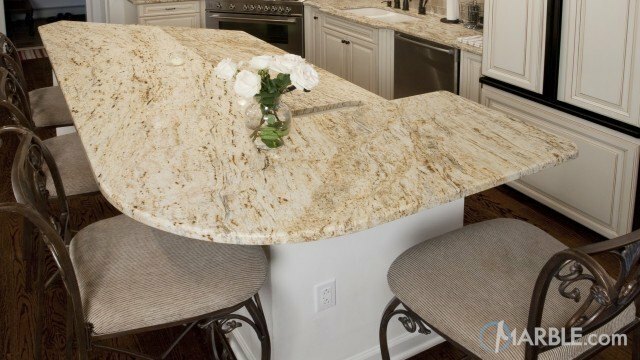 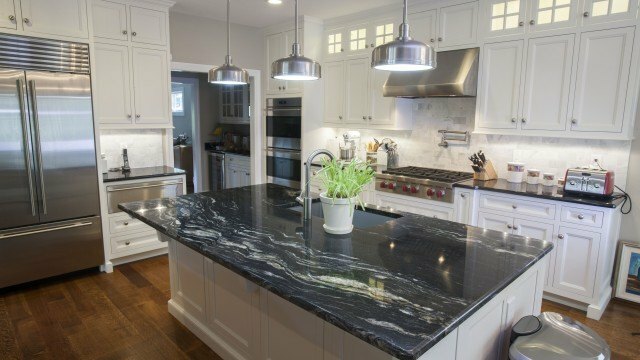 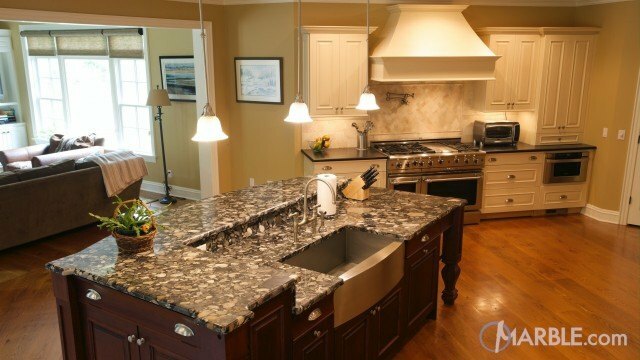 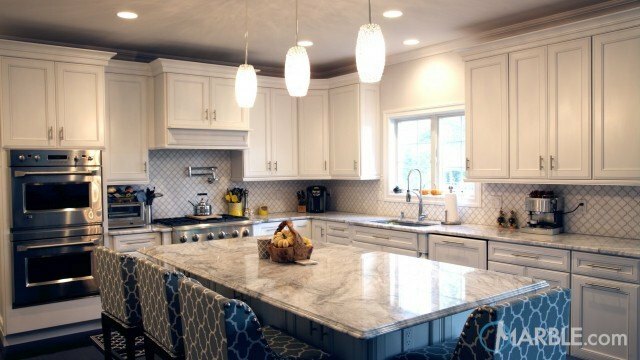 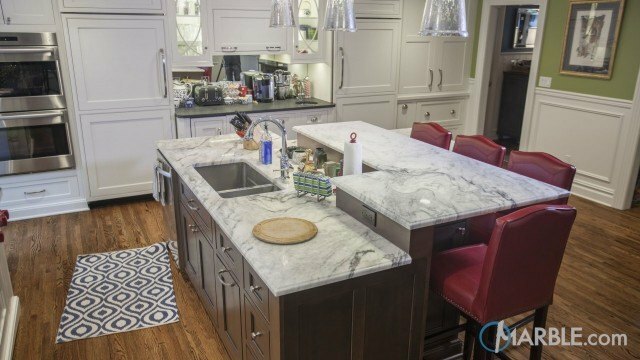 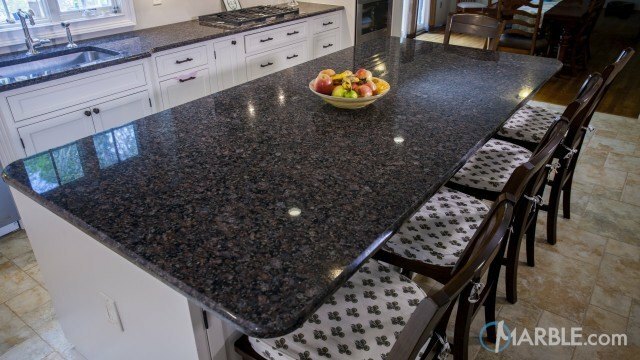 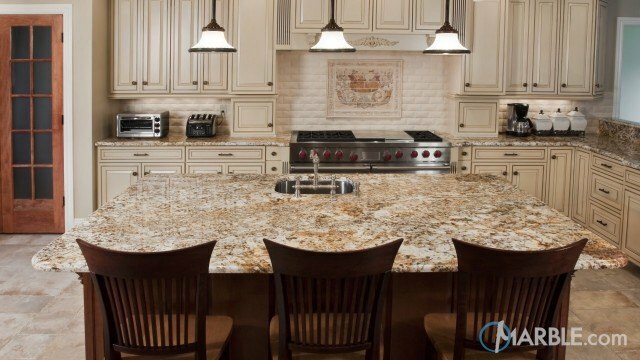 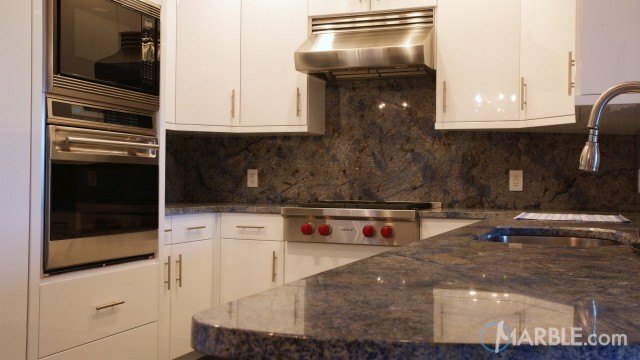 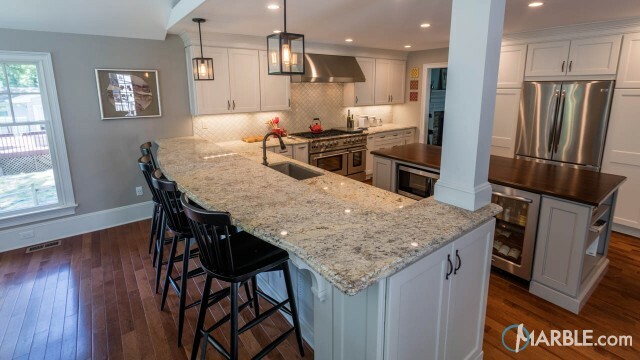 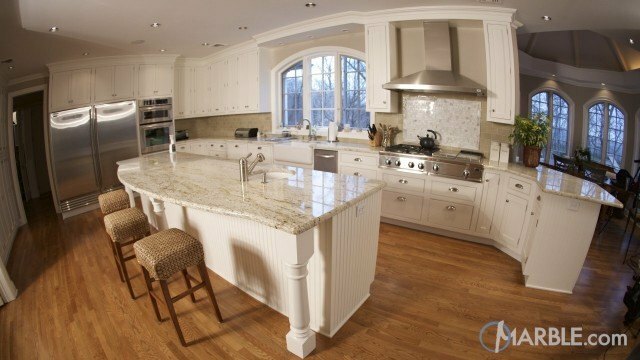 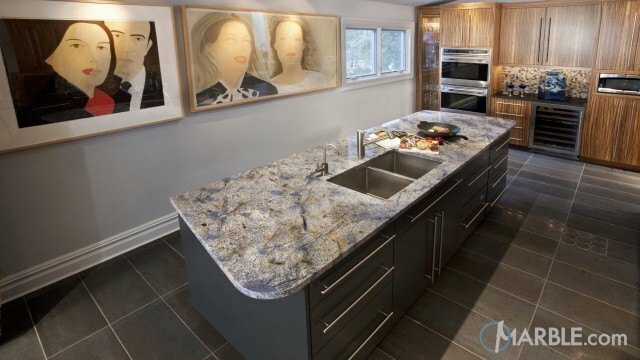 The Breccia Montana Quartzite counter tops with a Cove DuPont edge makes this room very elegant. 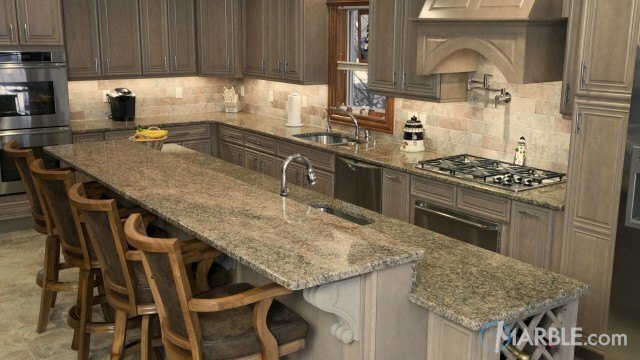 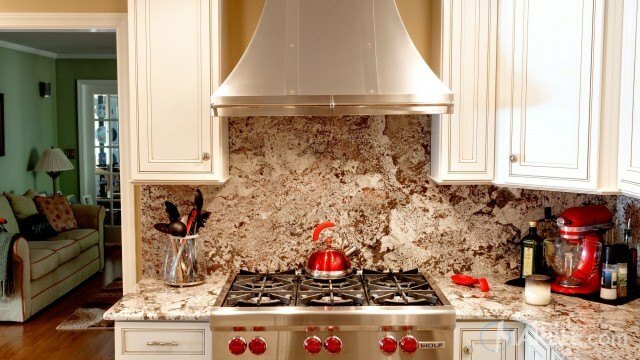 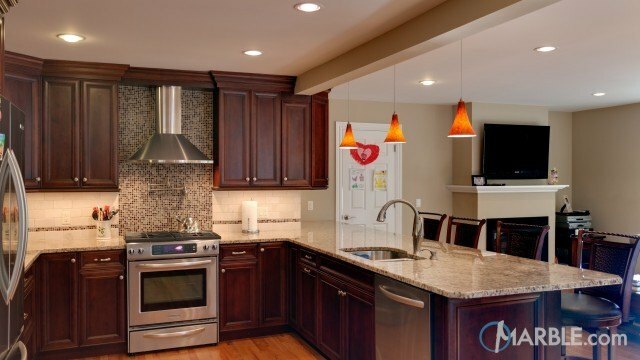 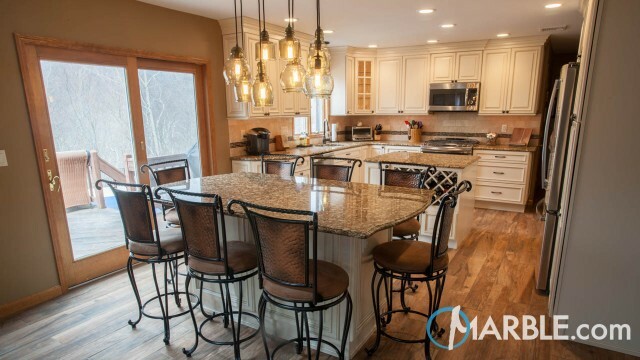 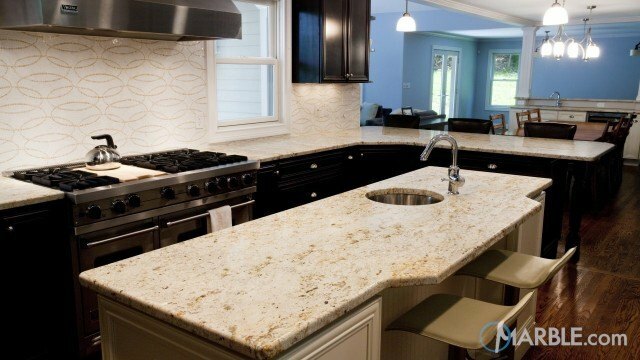 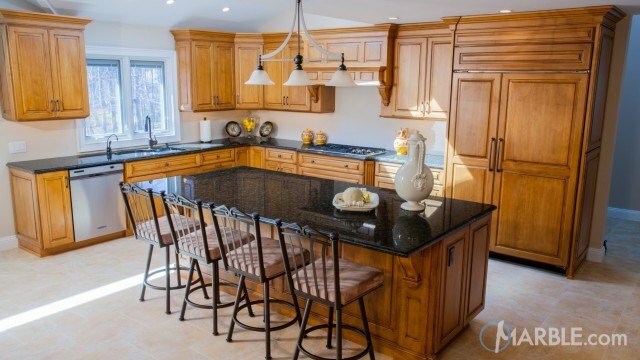 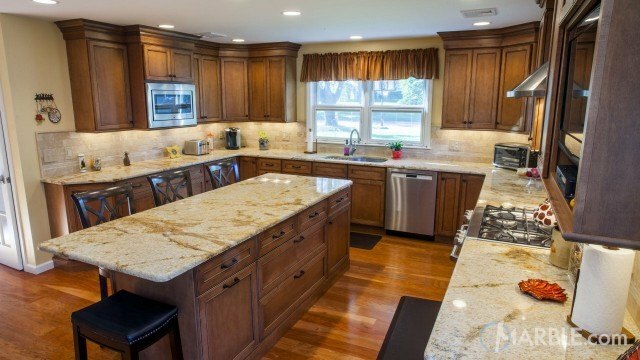 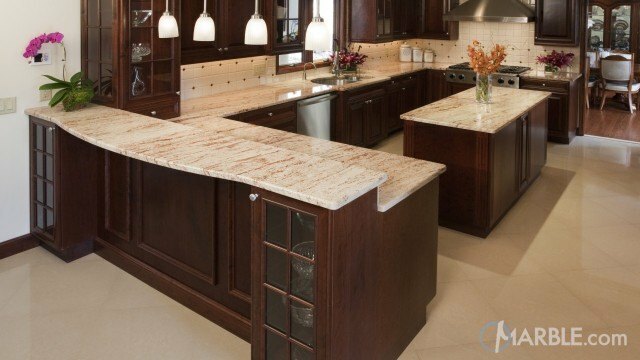 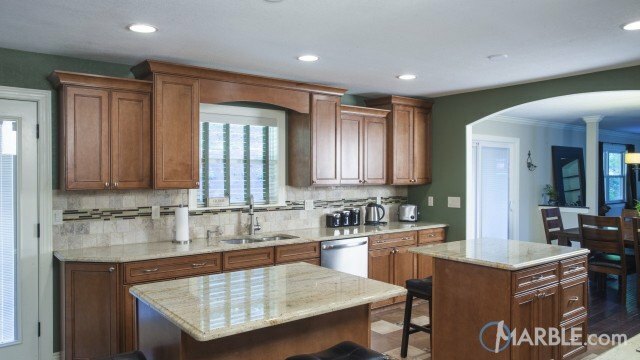 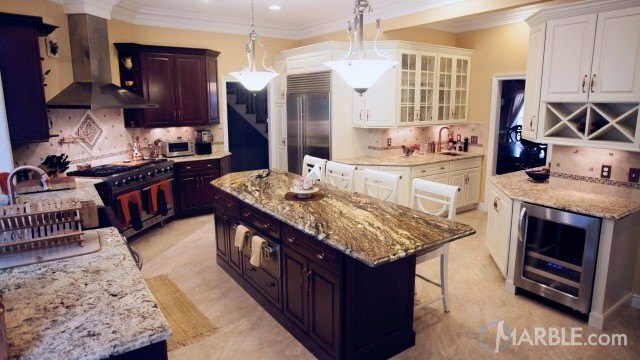 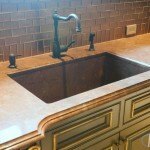 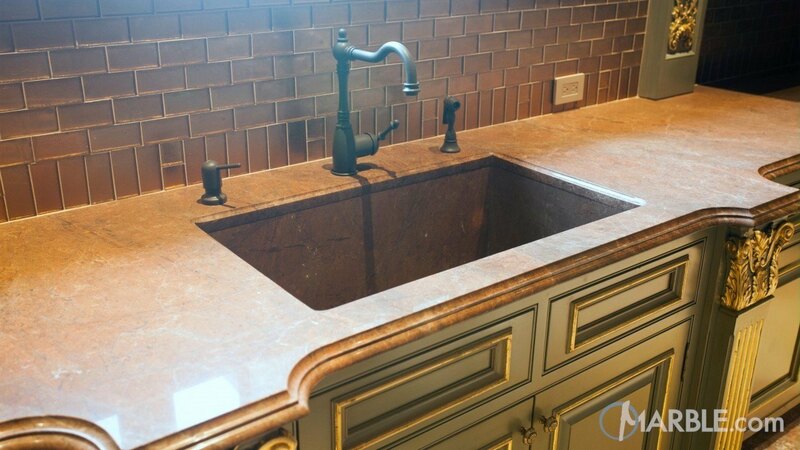 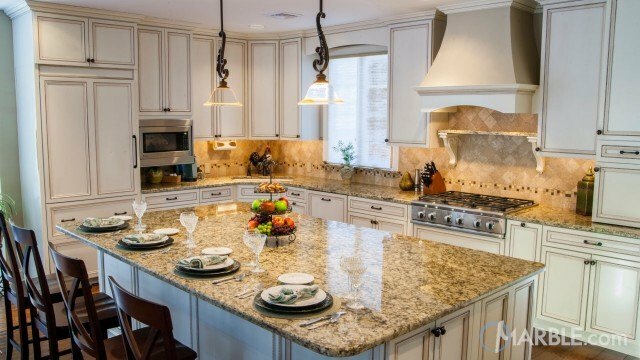 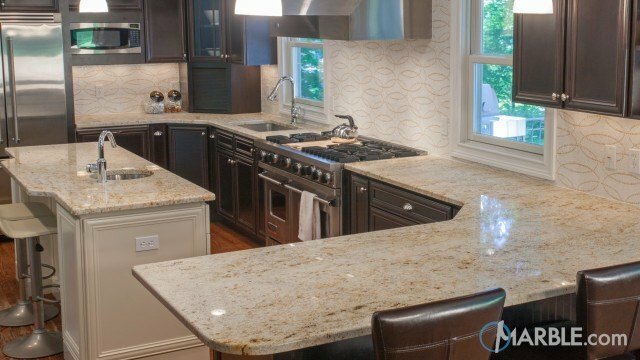 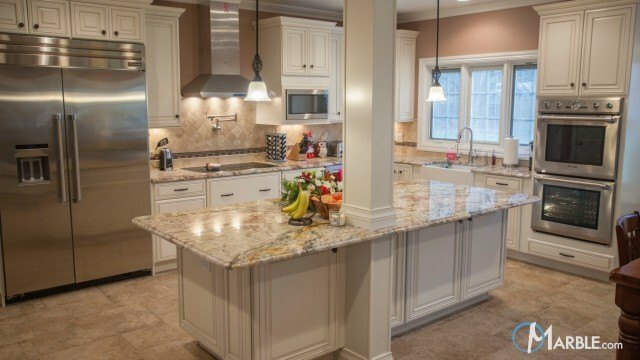 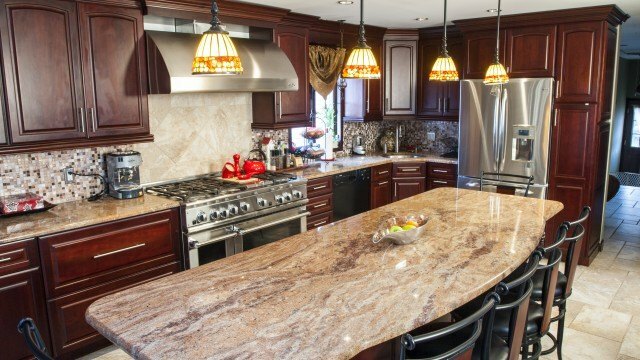 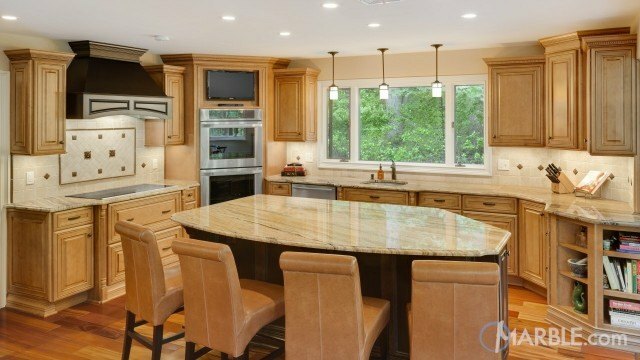 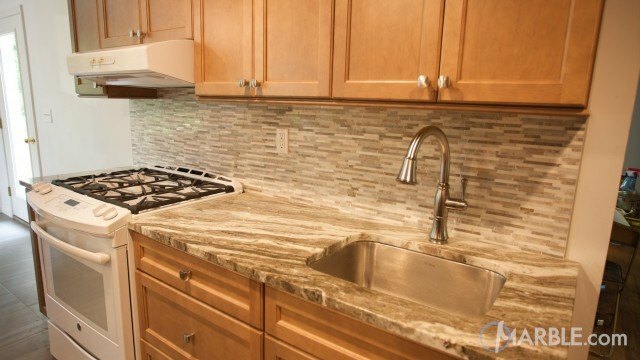 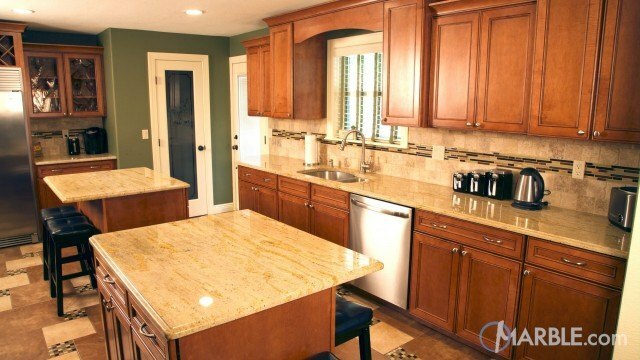 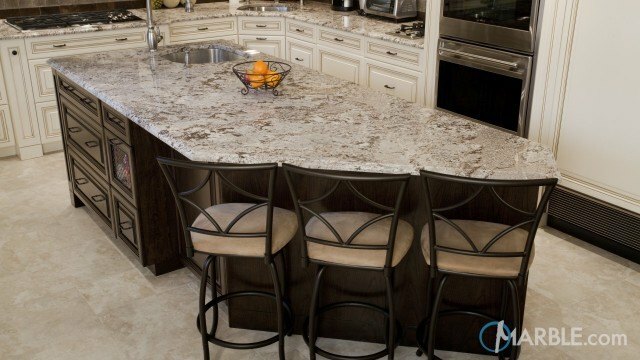 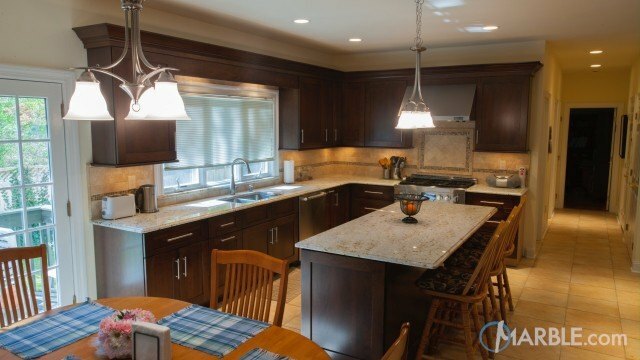 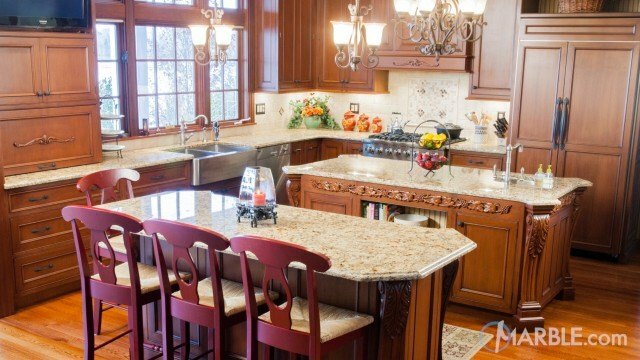 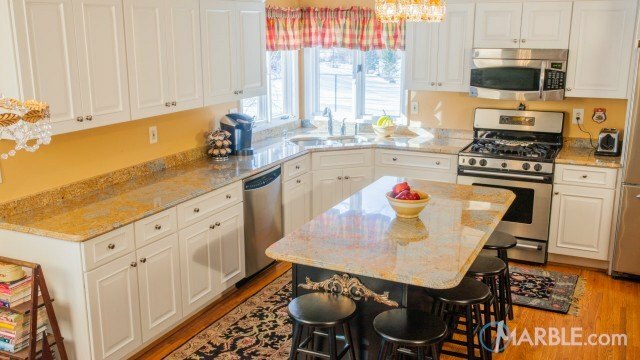 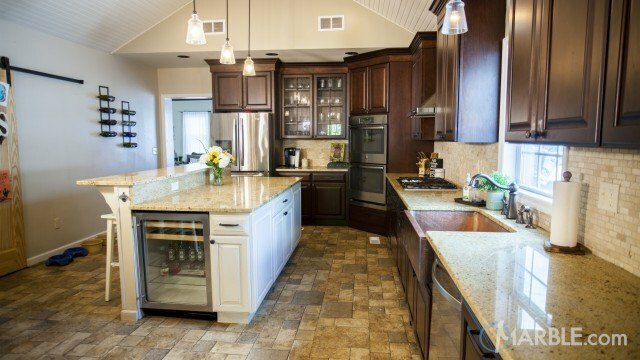 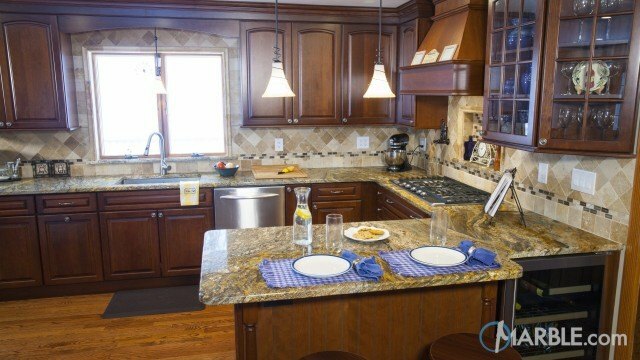 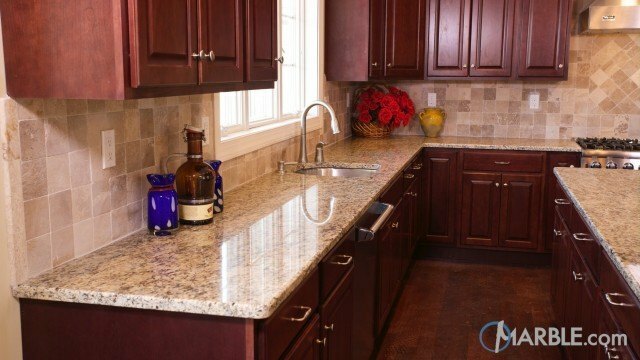 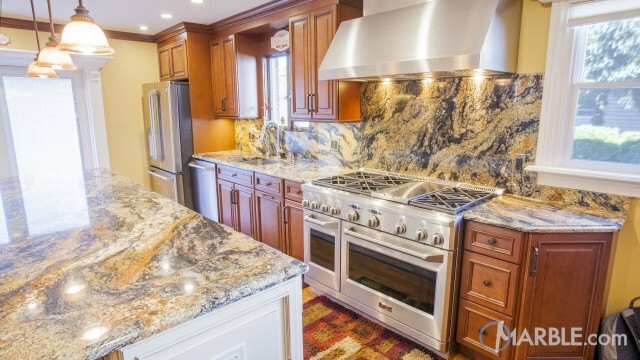 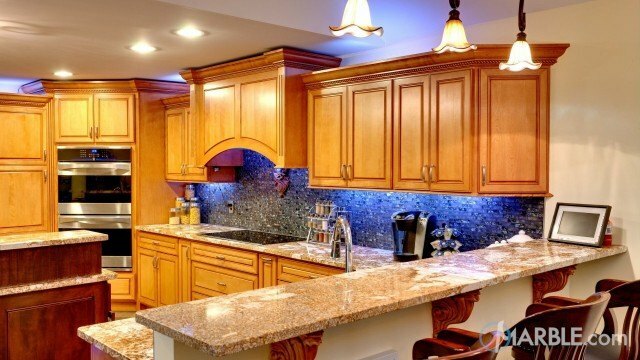 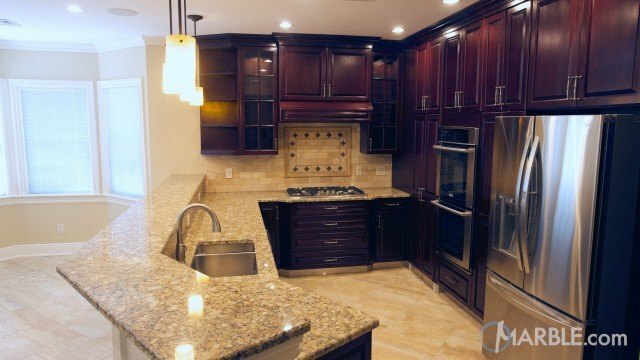 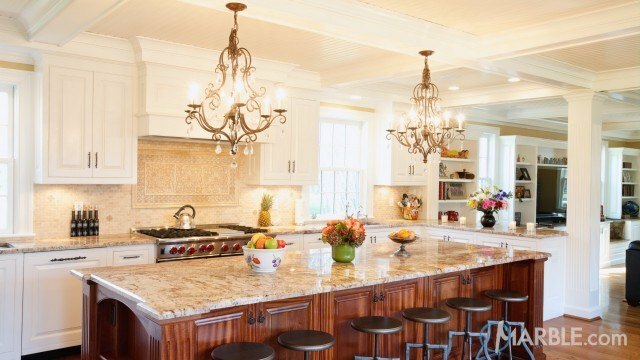 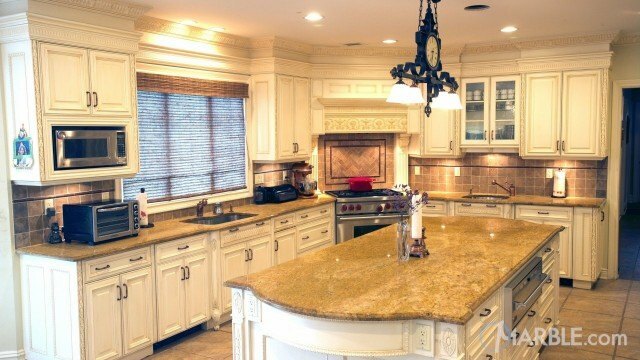 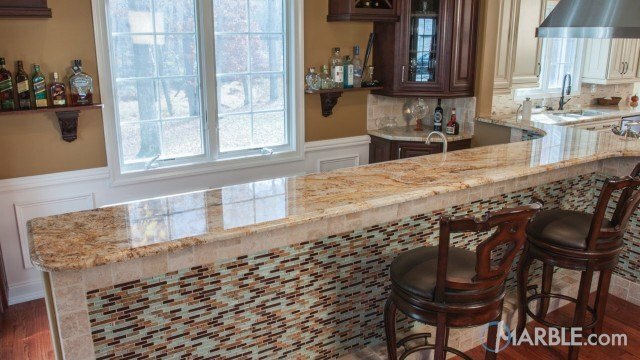 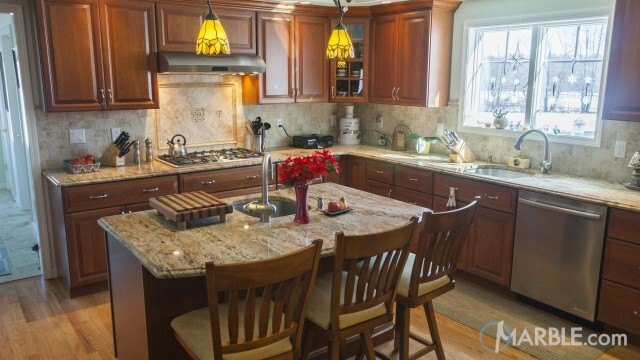 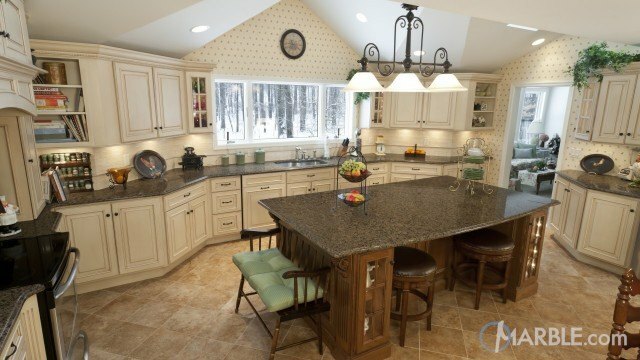 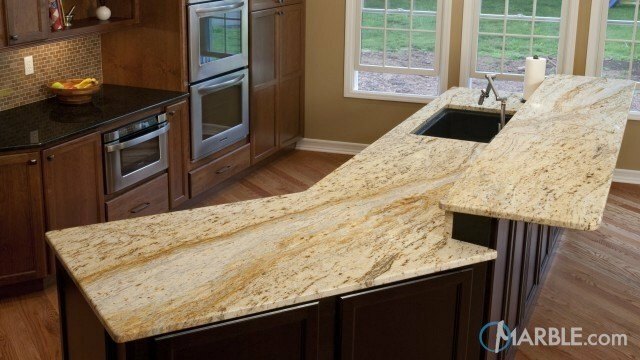 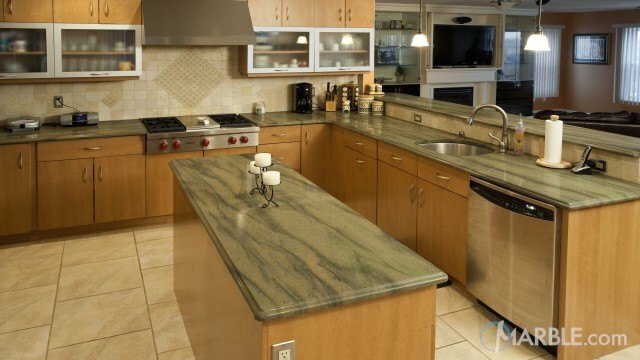 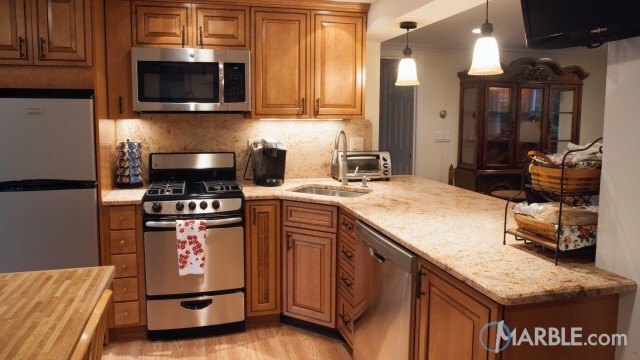 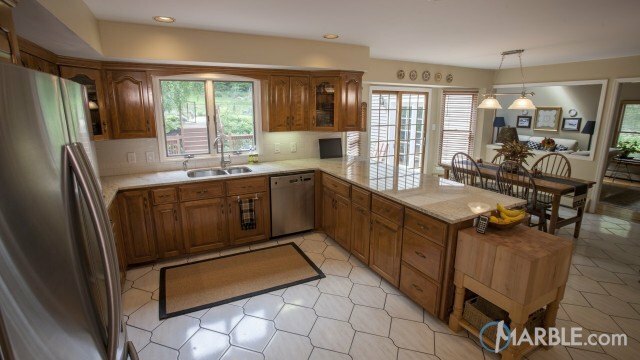 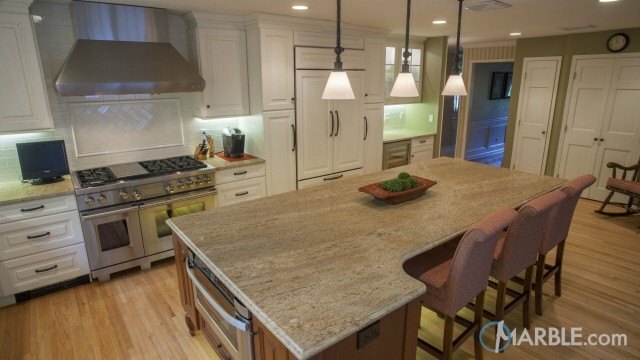 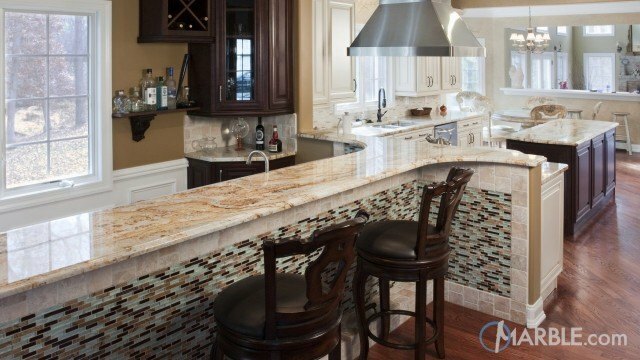 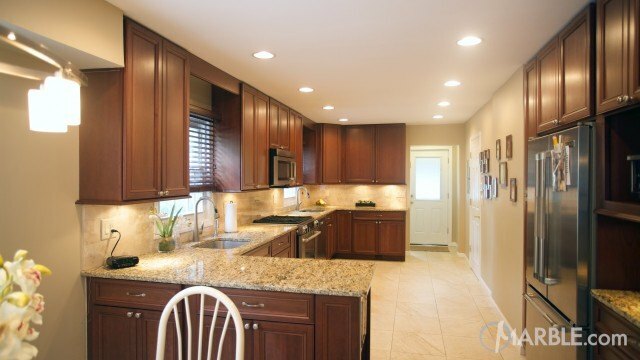 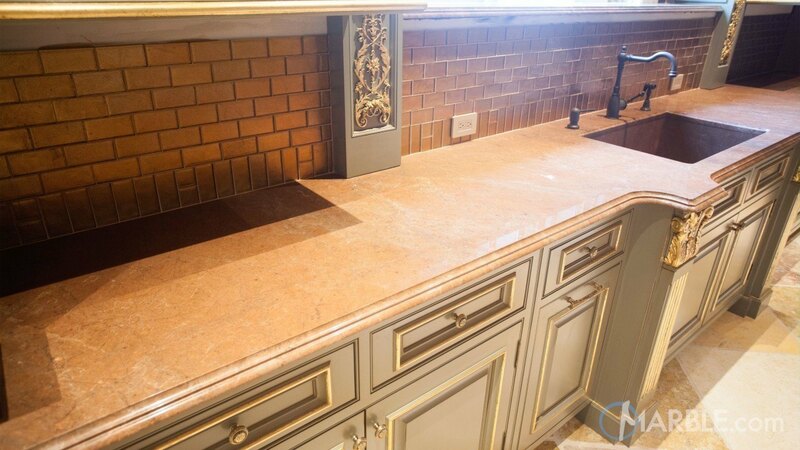 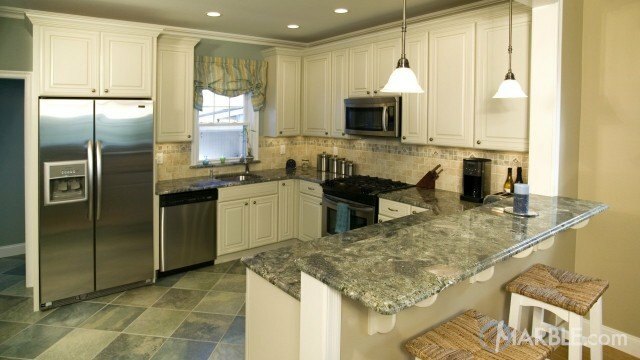 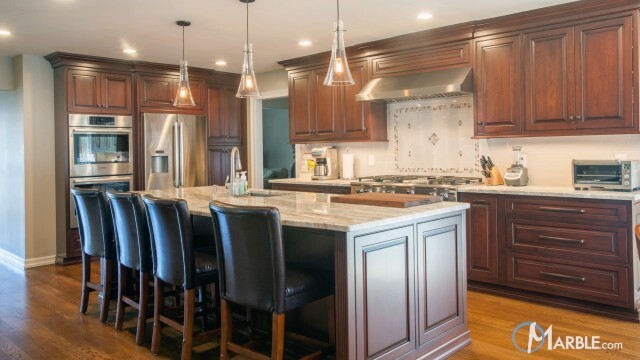 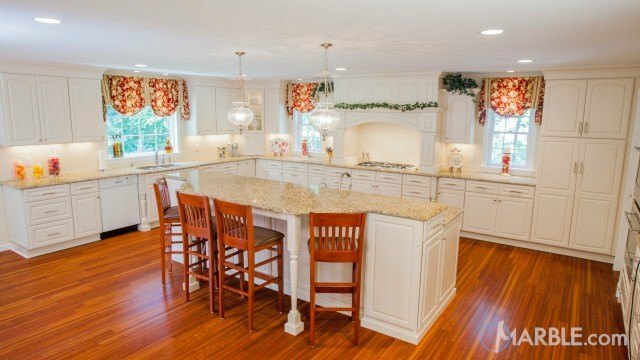 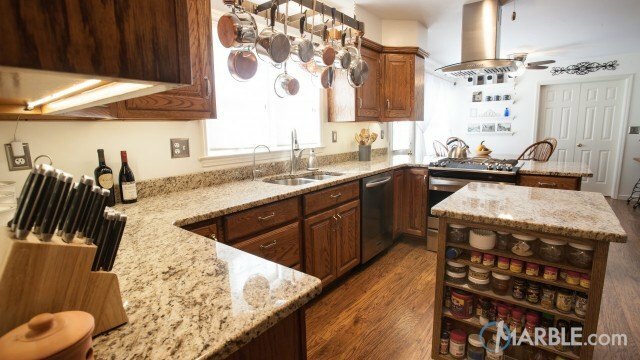 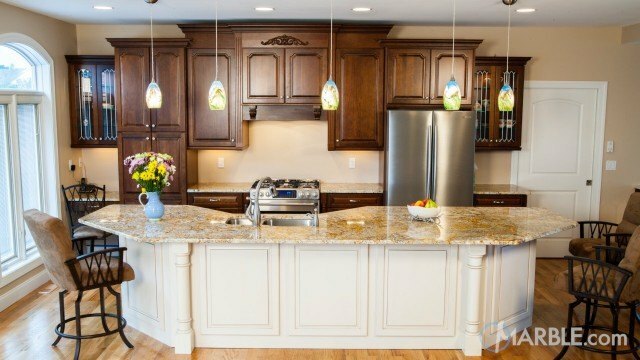 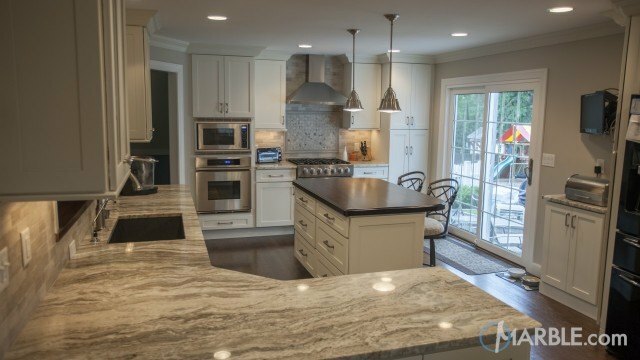 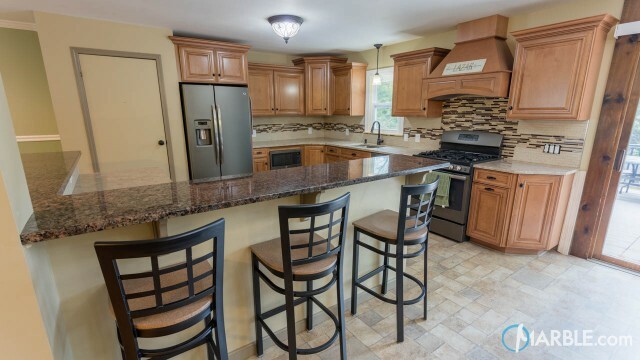 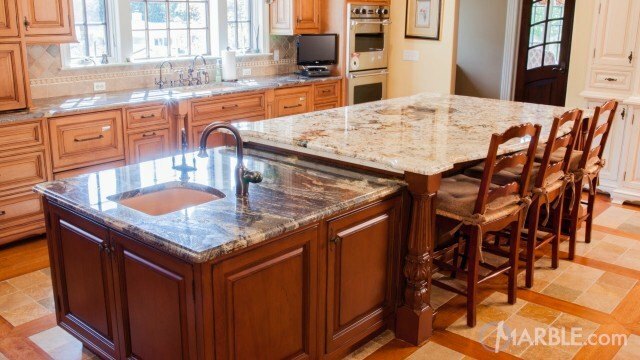 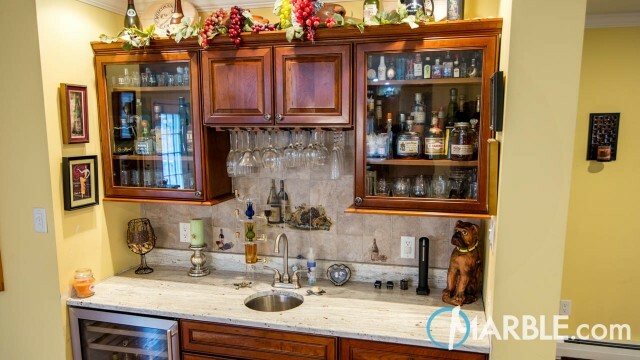 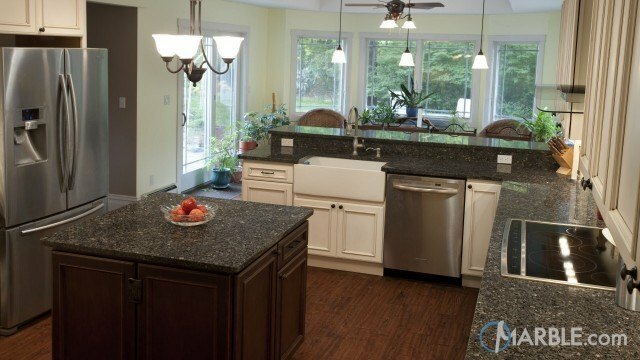 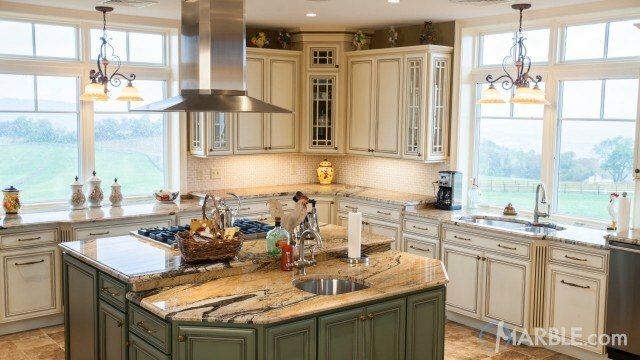 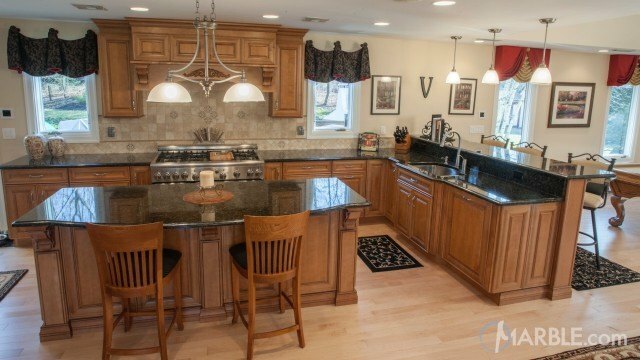 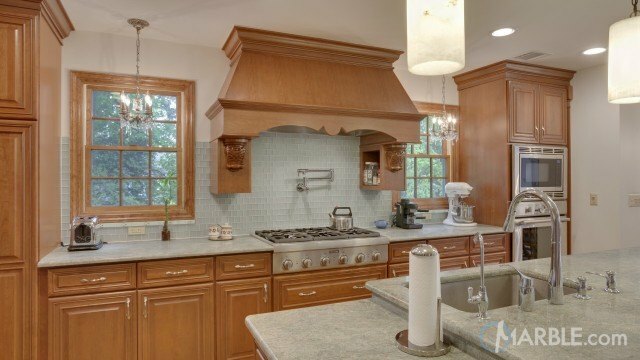 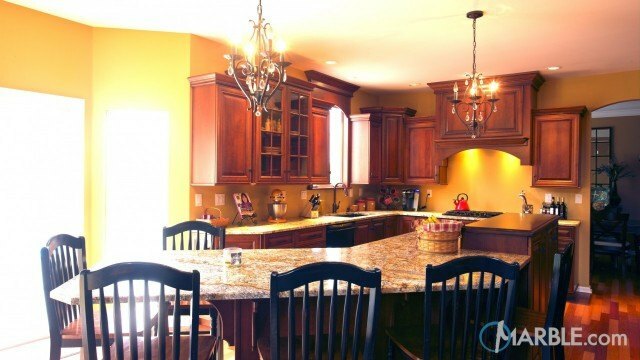 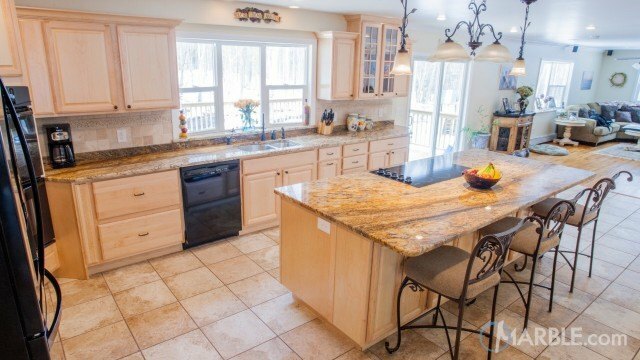 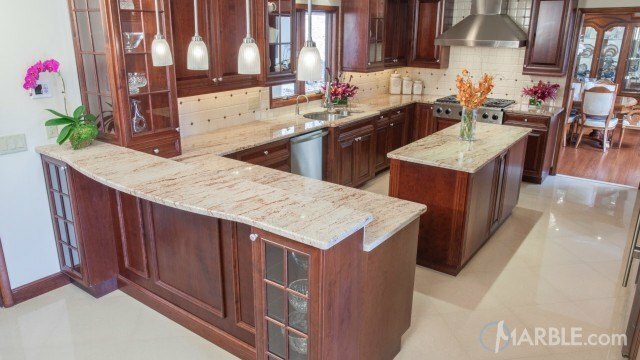 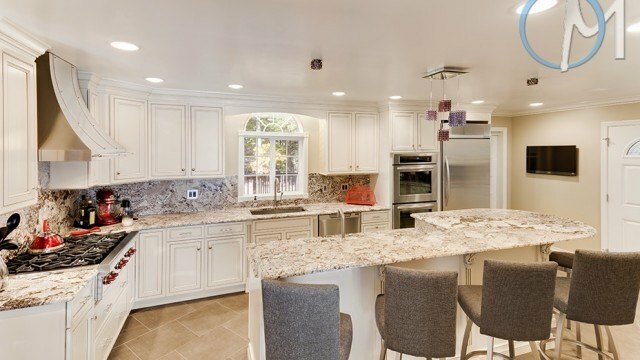 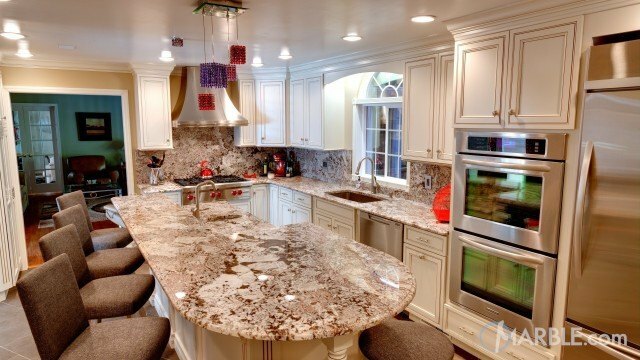 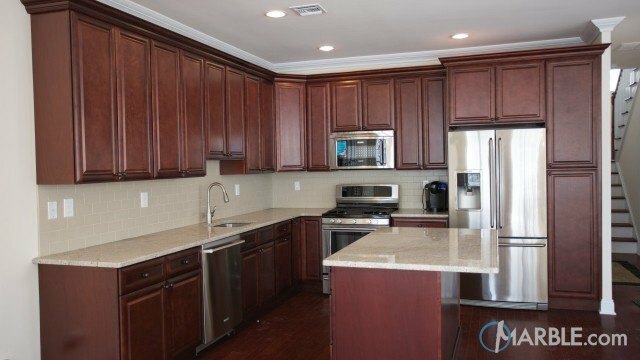 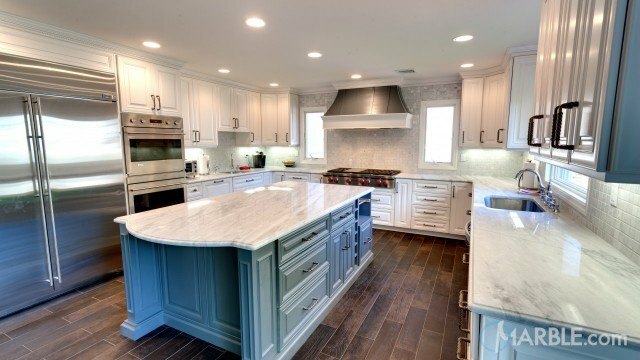 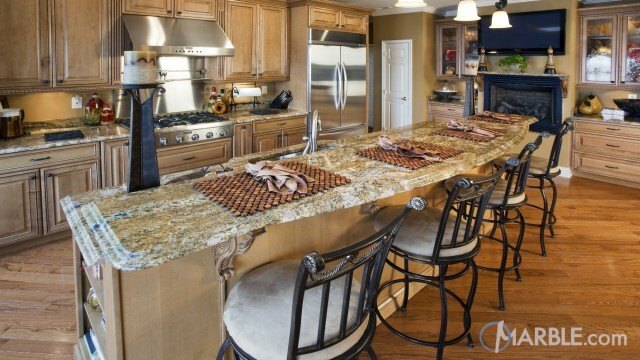 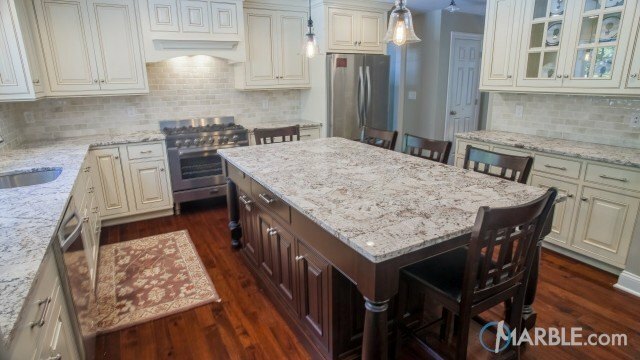 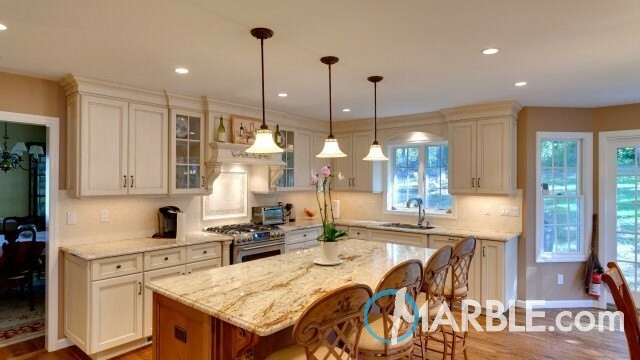 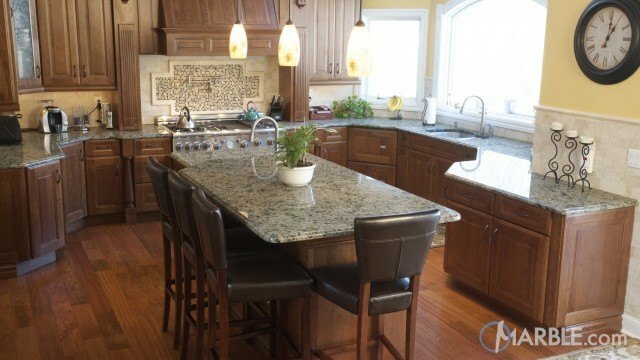 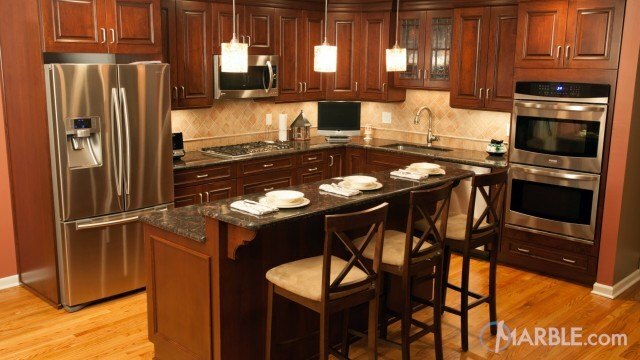 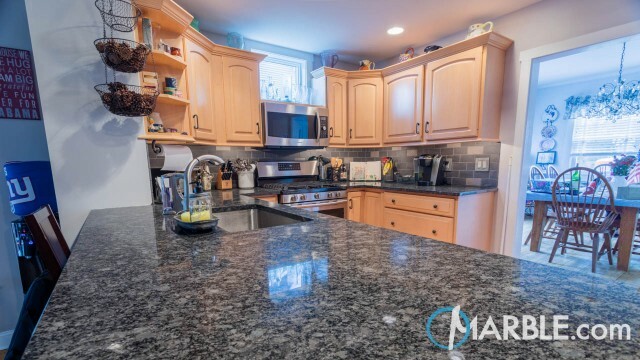 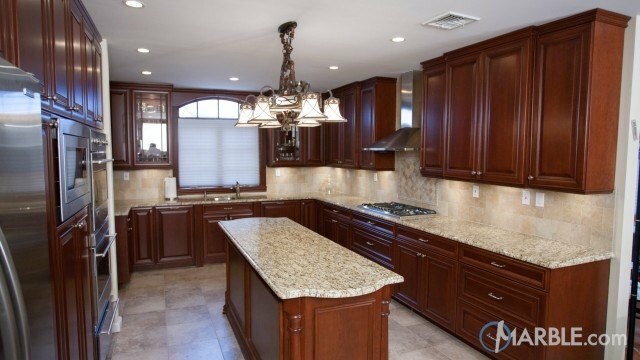 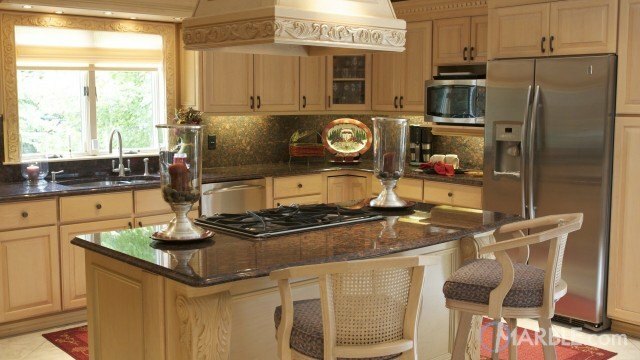 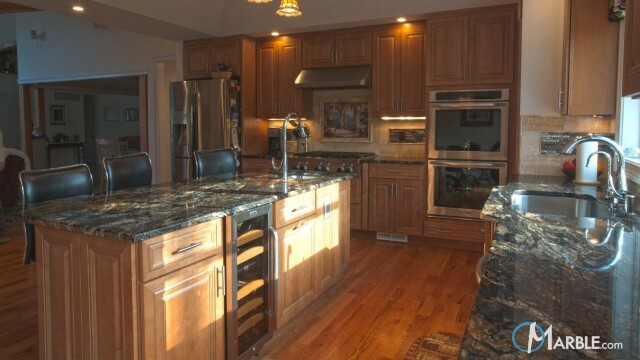 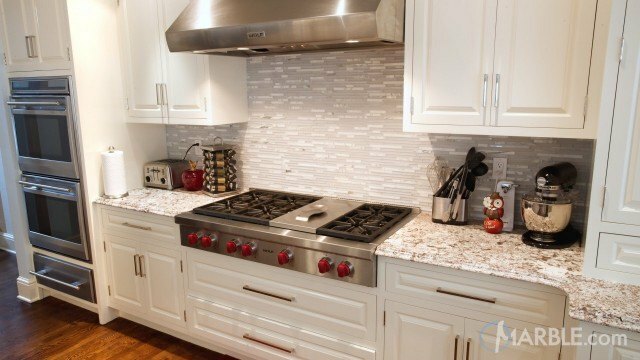 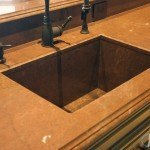 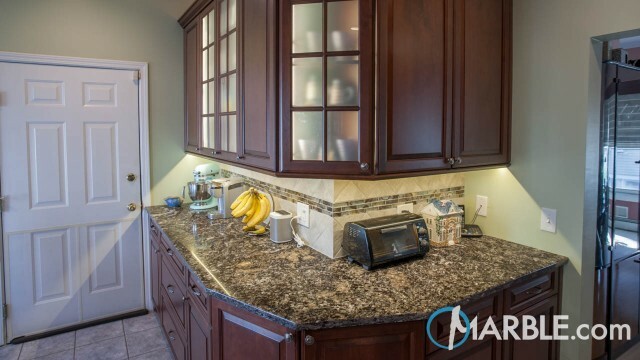 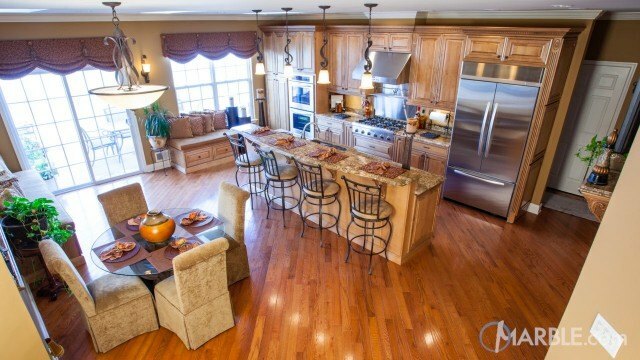 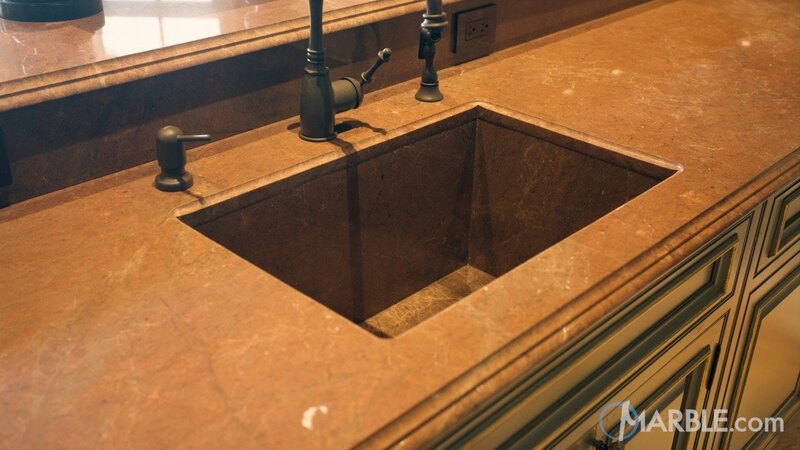 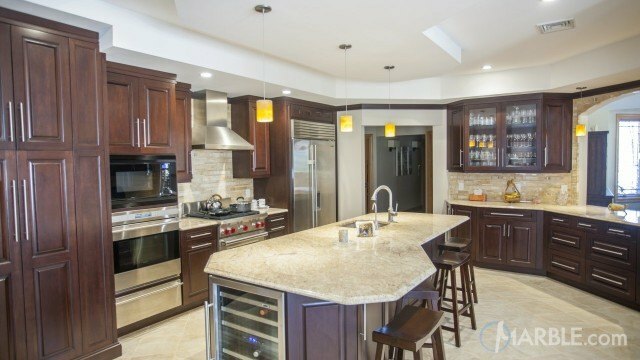 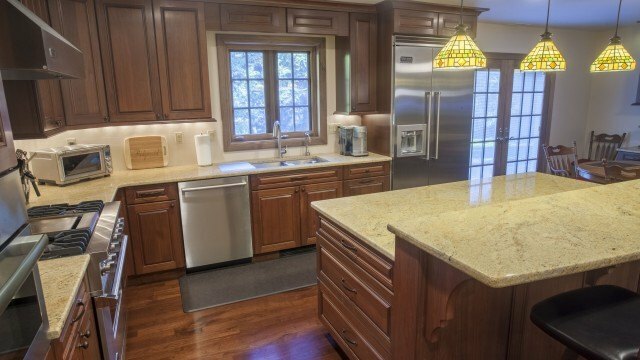 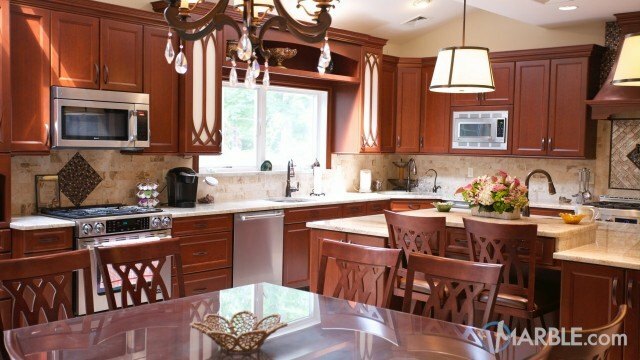 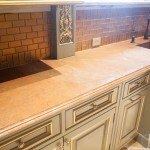 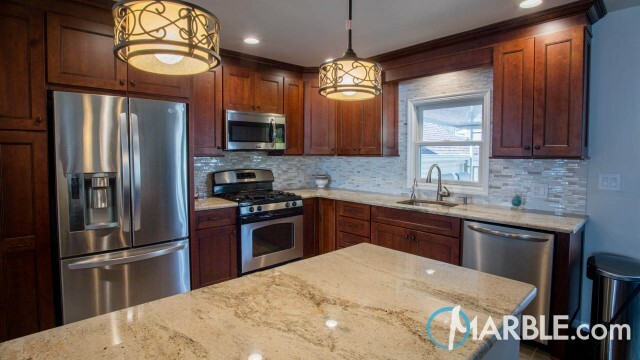 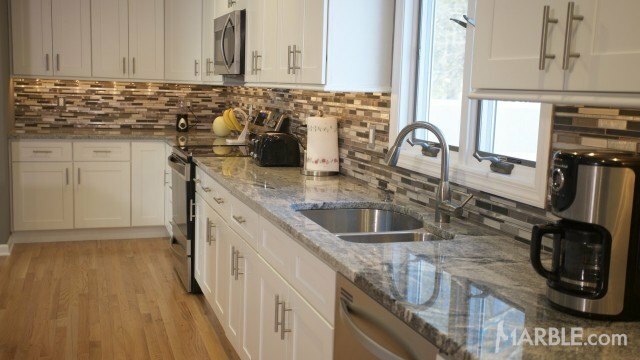 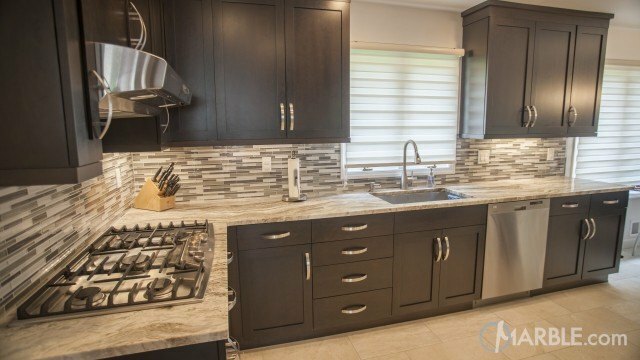 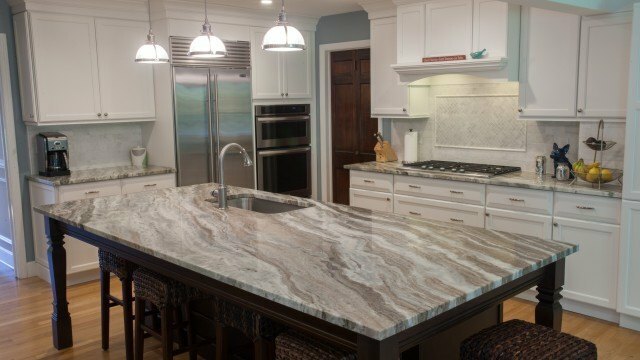 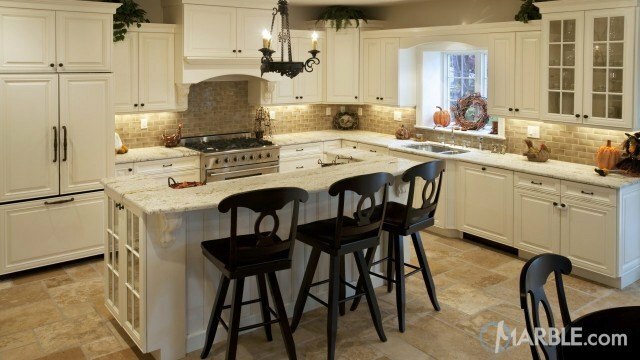 The caramel color of the Quartzite matches the edging on the cabinets. 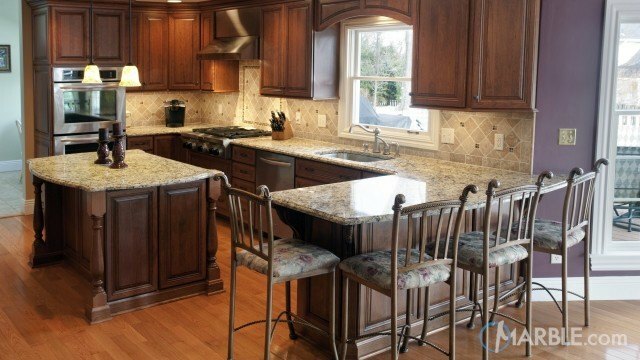 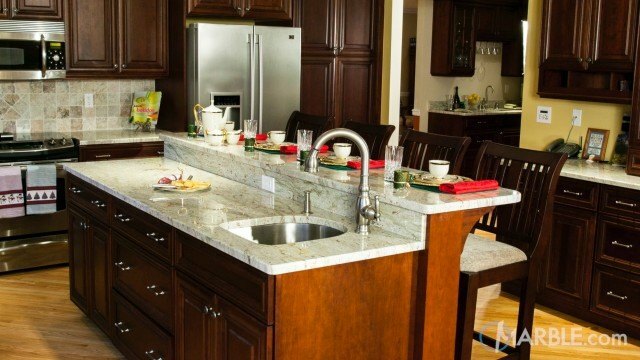 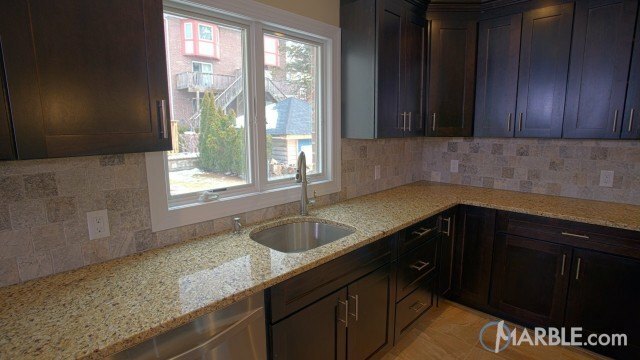 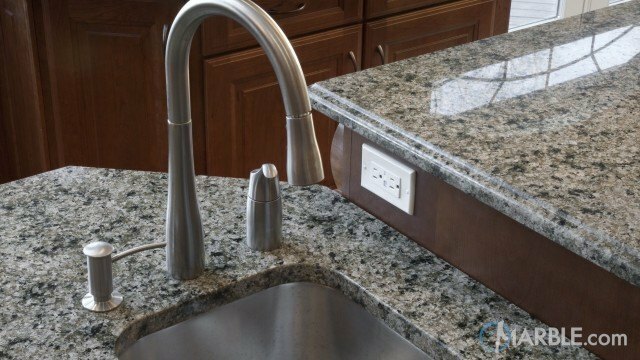 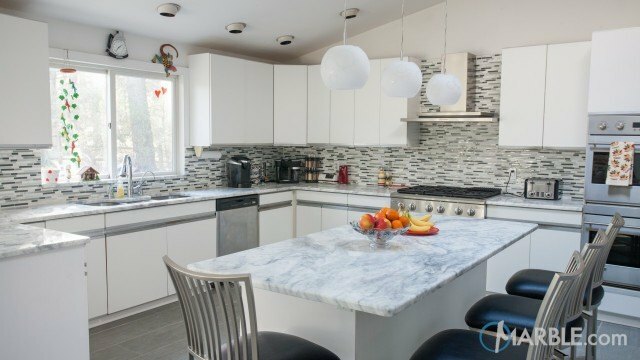 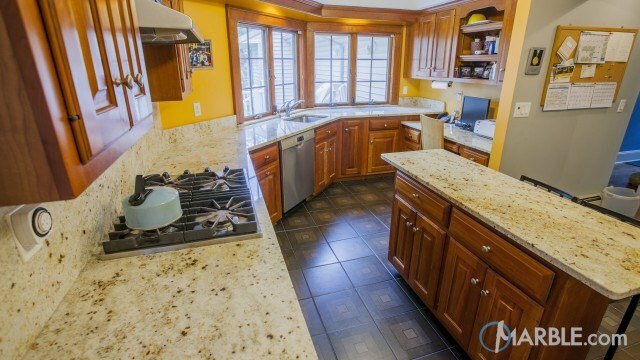 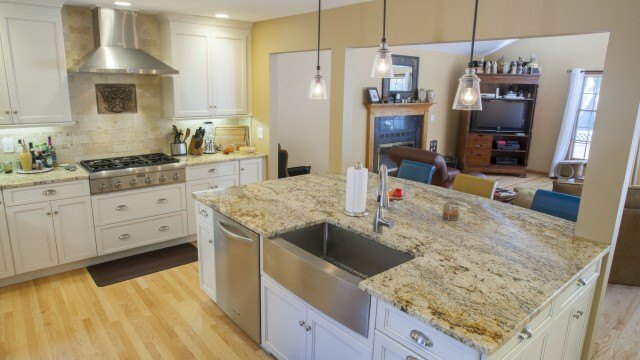 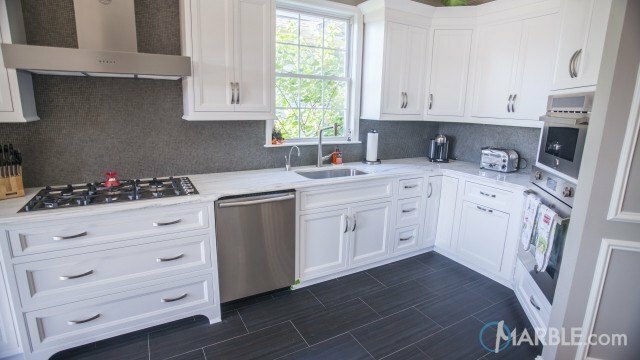 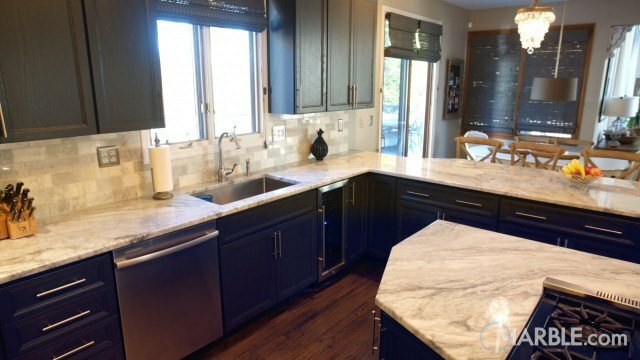 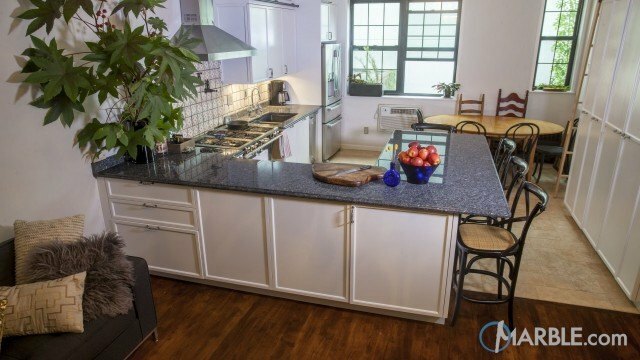 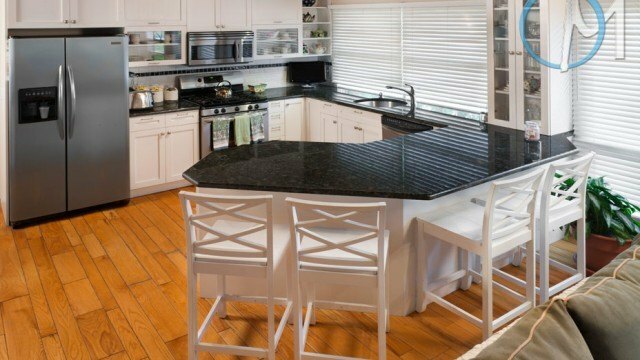 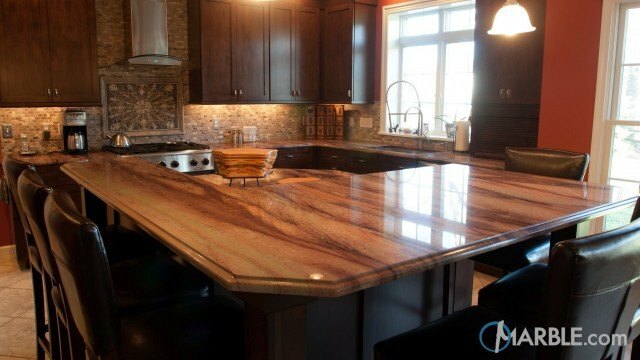 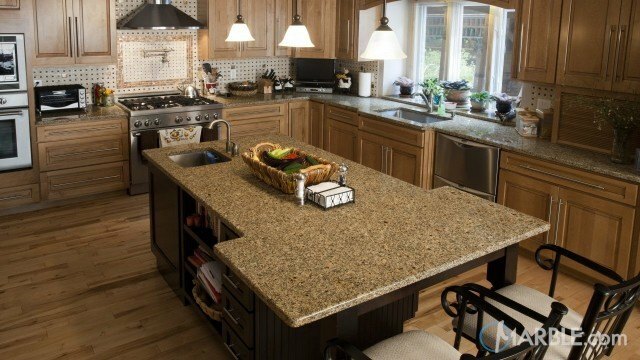 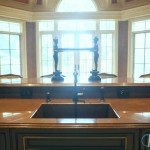 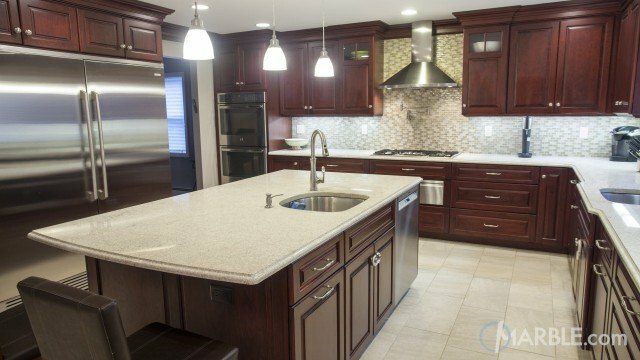 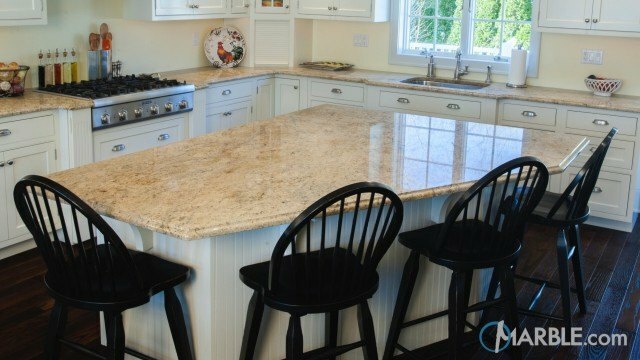 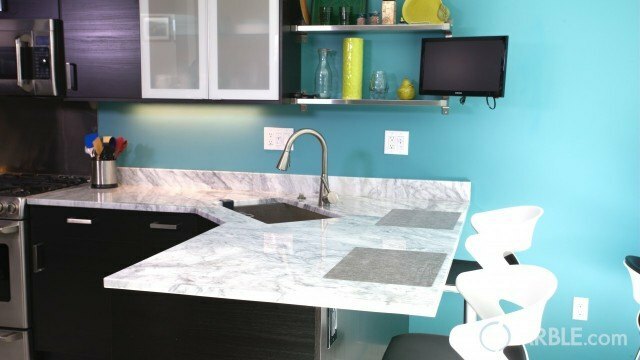 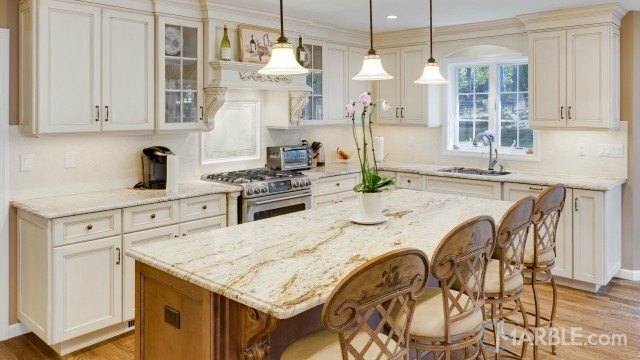 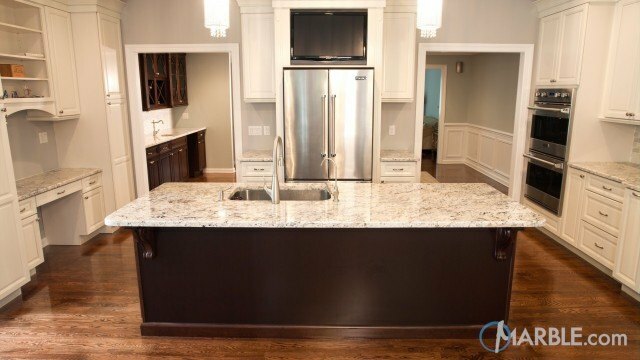 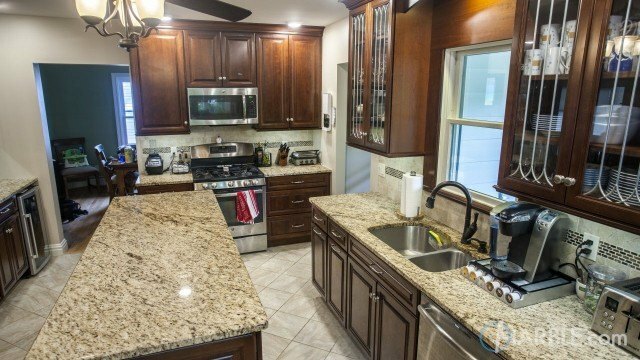 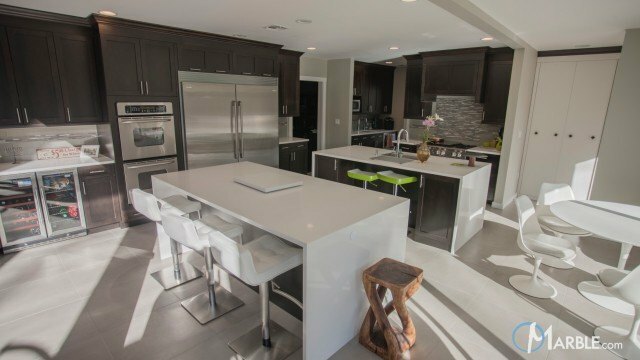 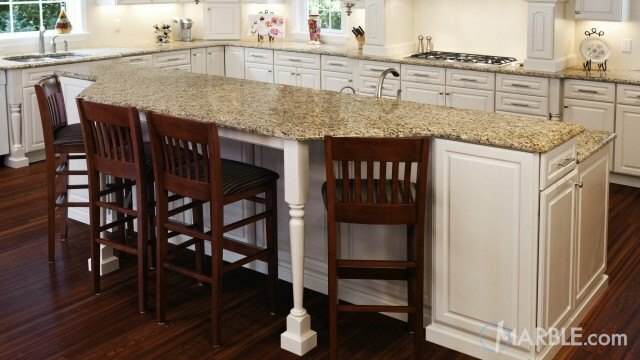 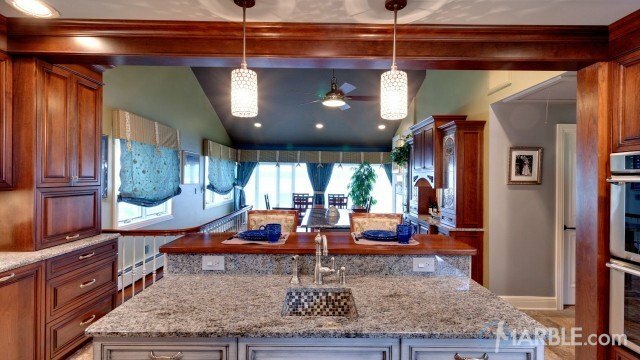 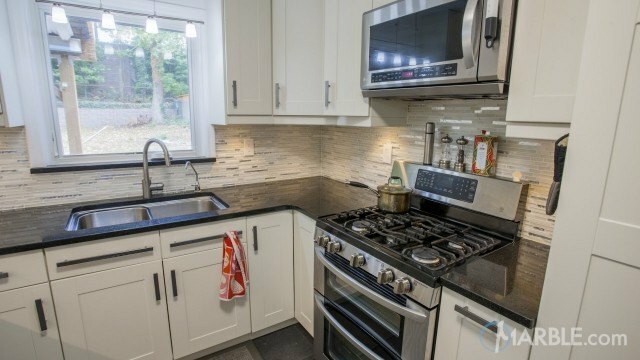 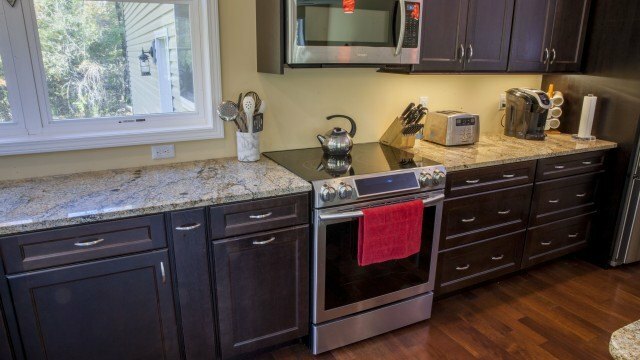 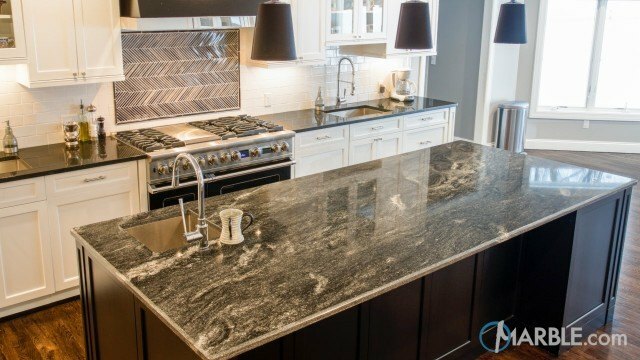 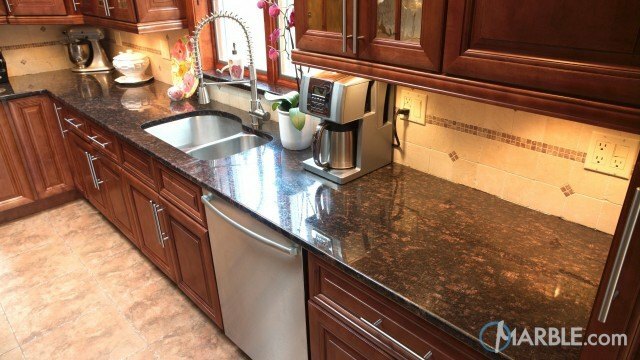 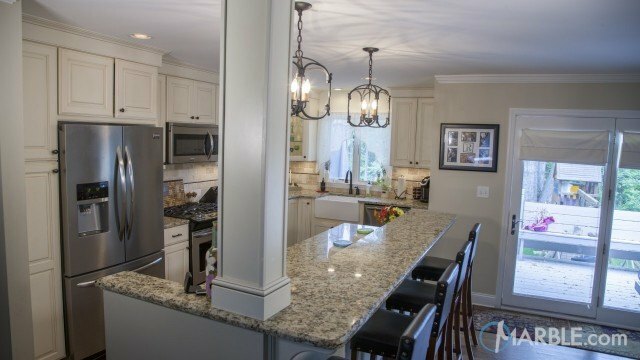 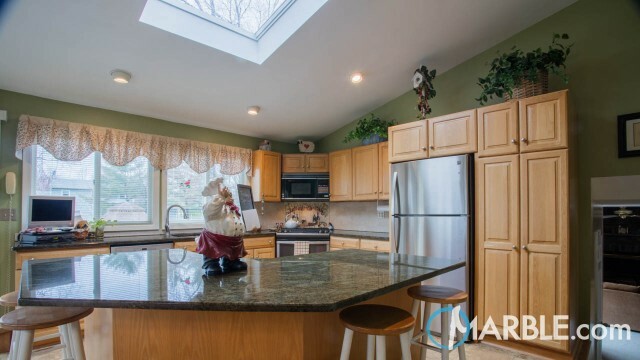 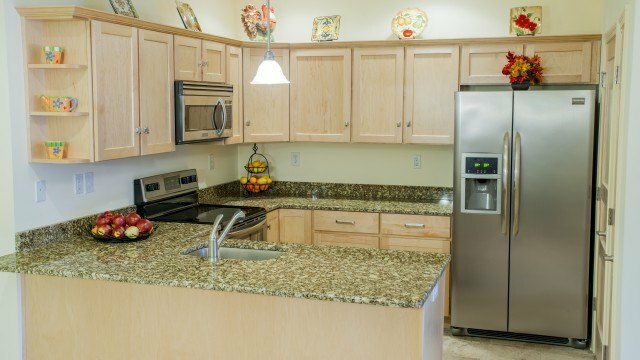 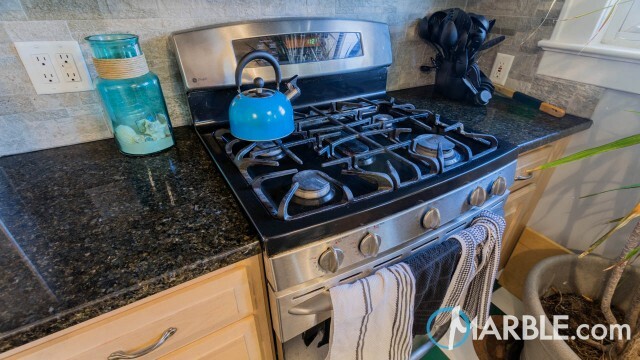 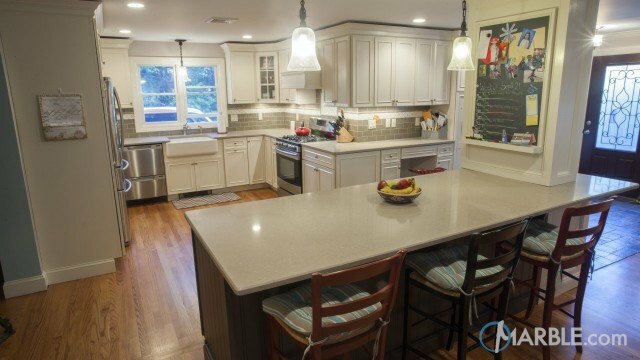 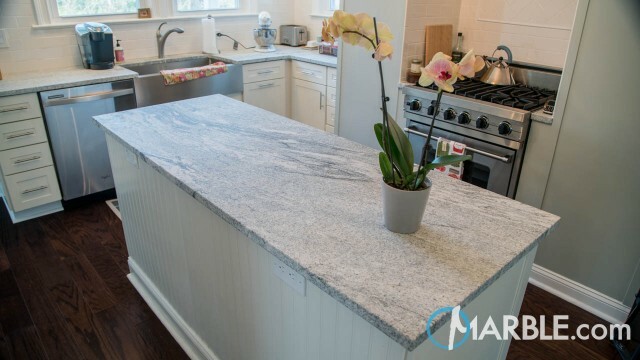 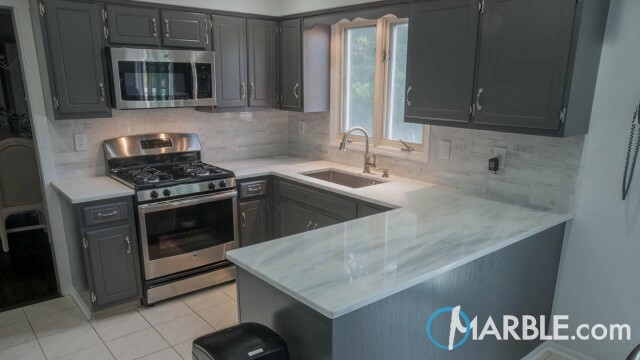 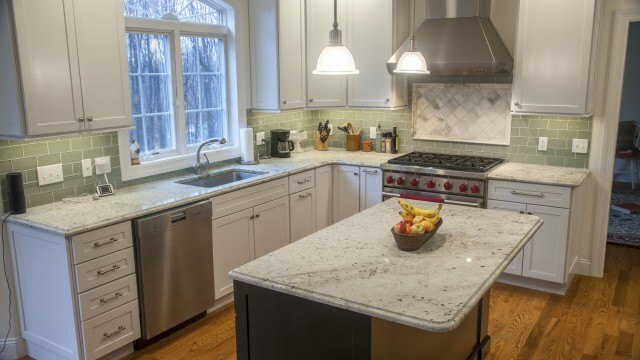 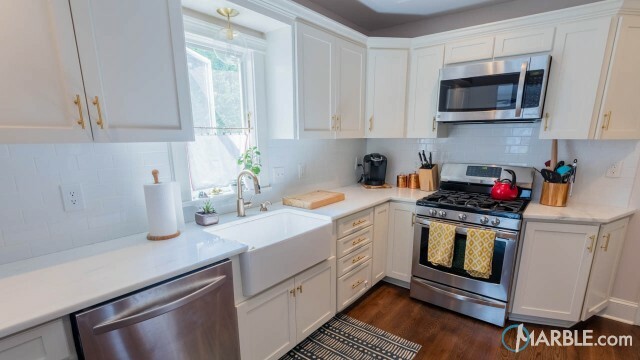 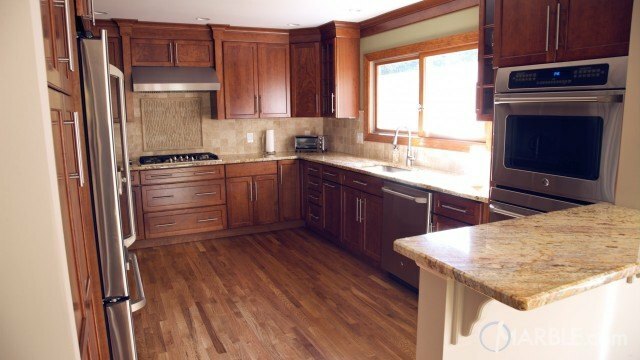 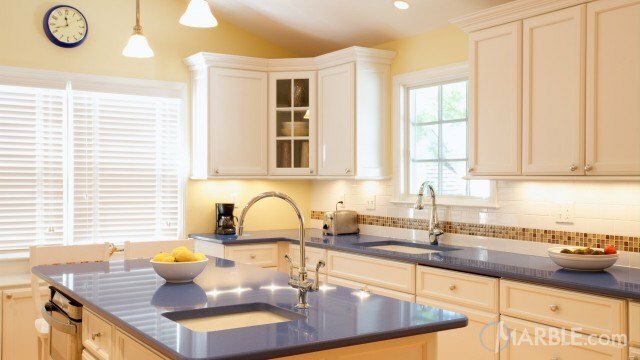 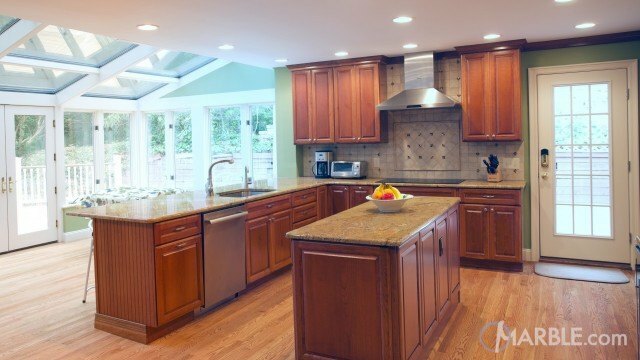 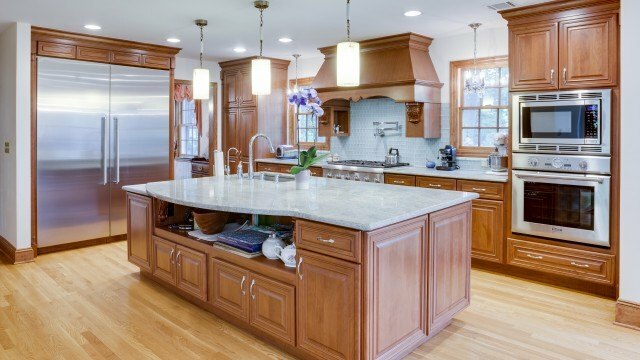 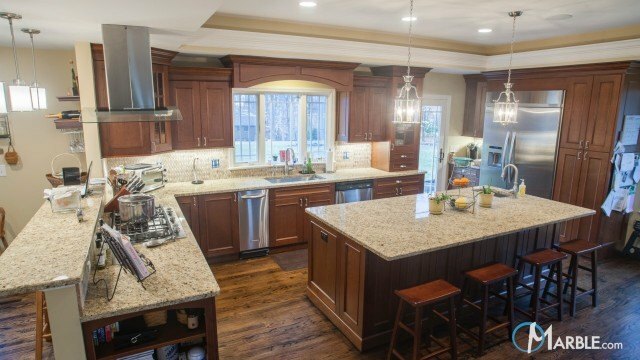 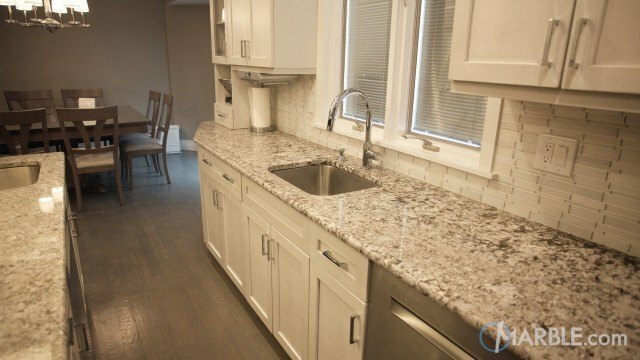 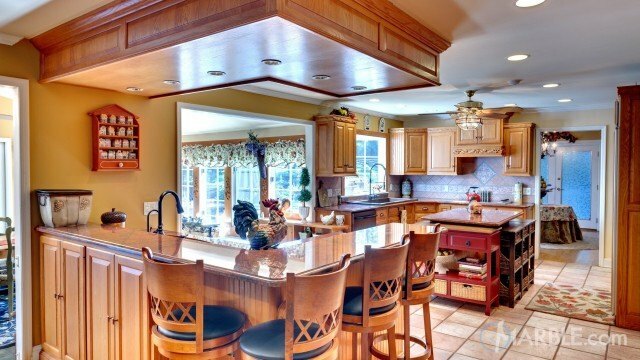 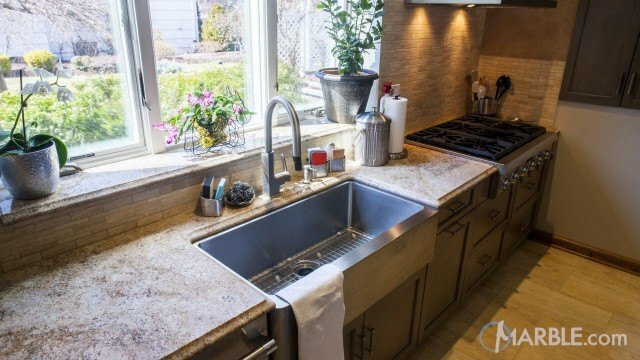 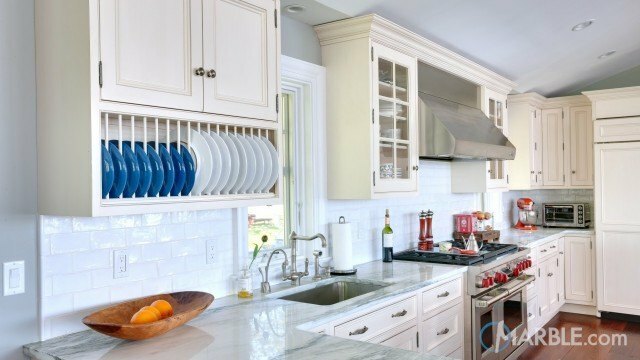 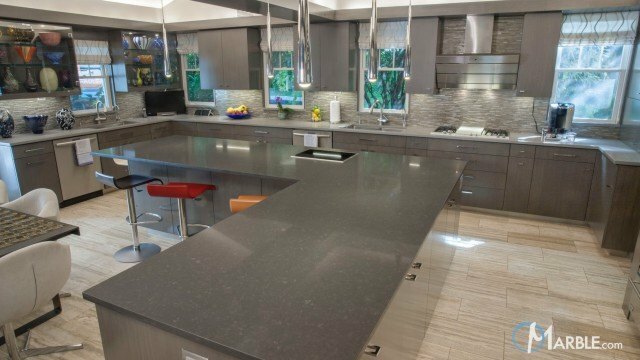 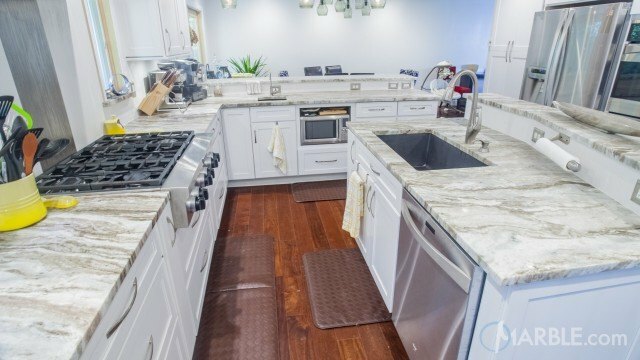 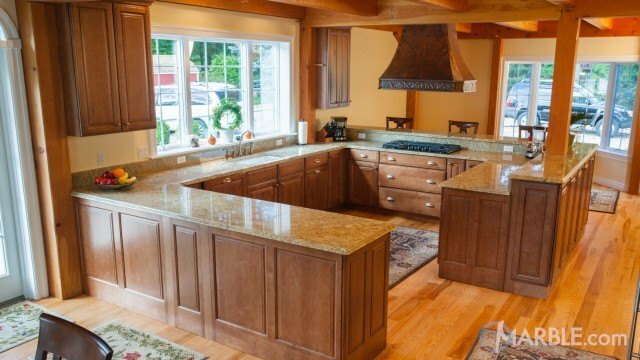 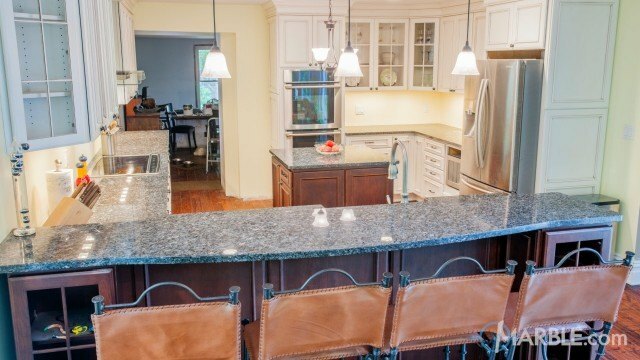 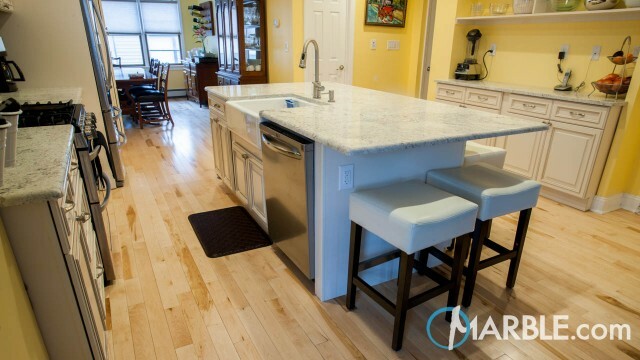 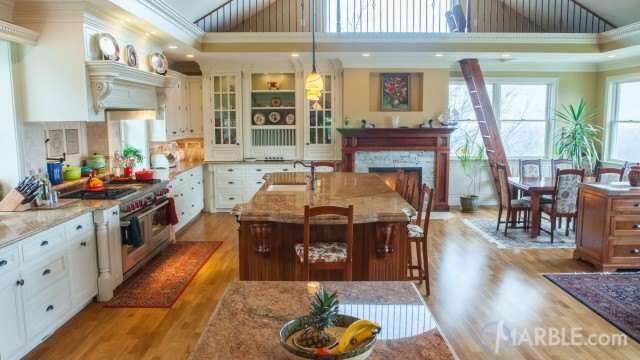 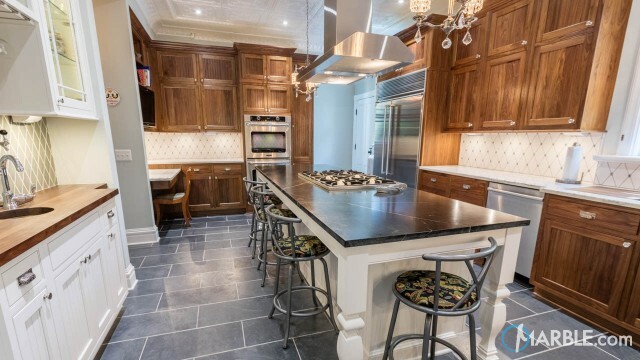 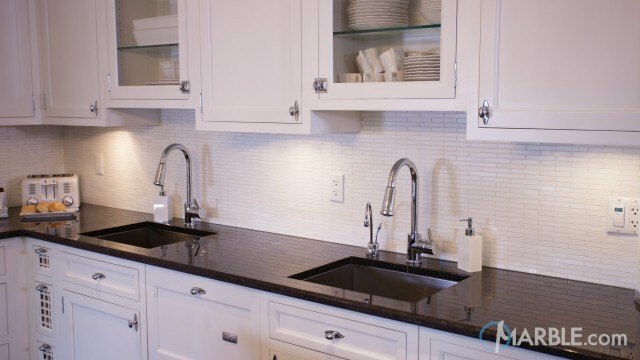 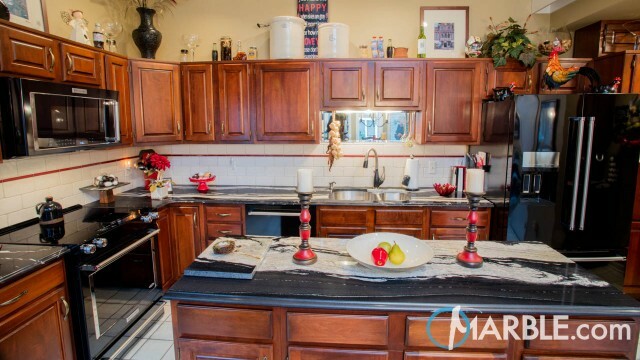 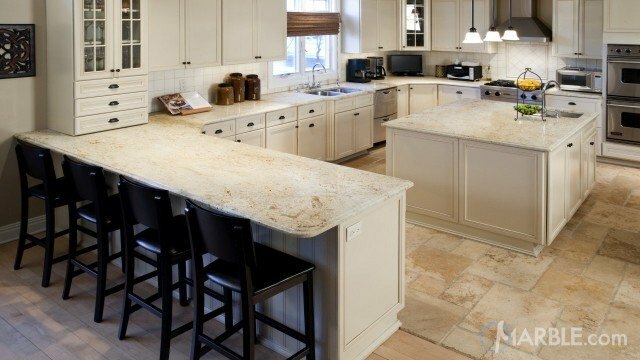 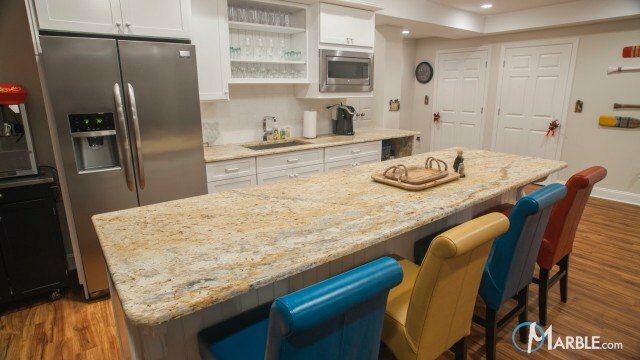 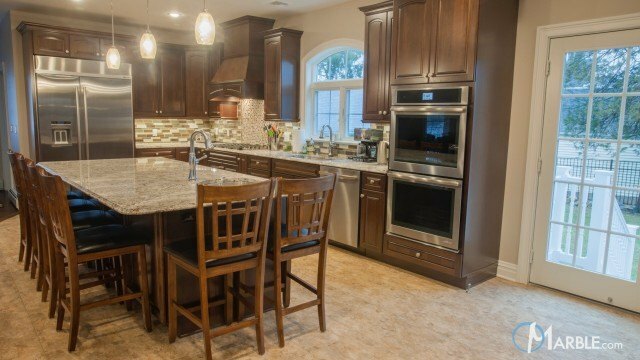 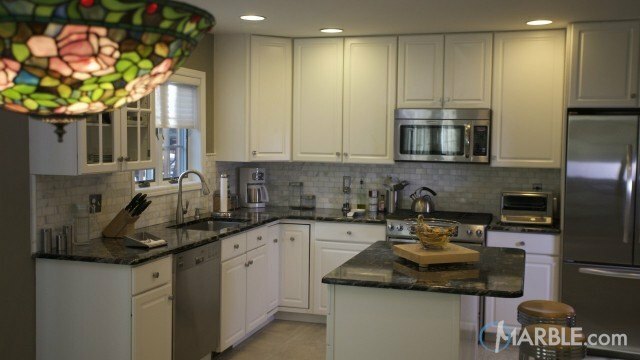 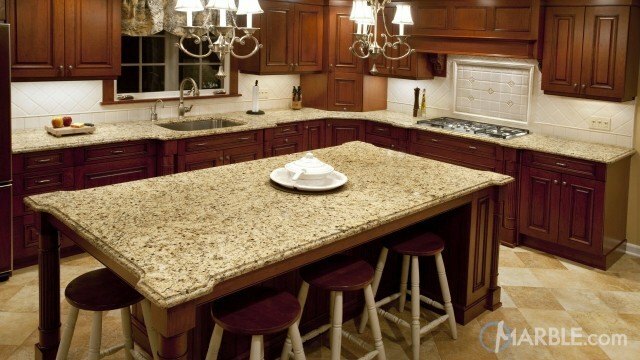 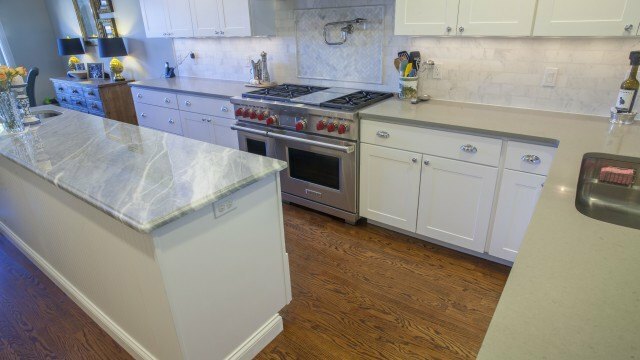 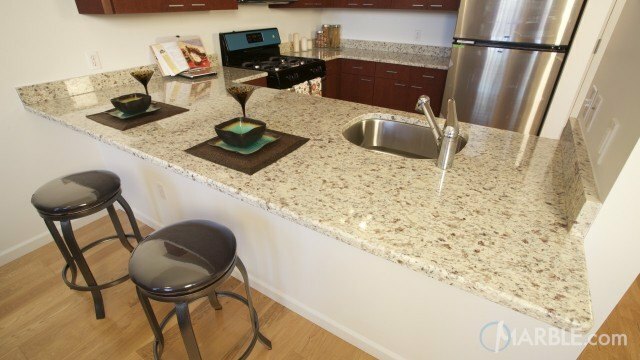 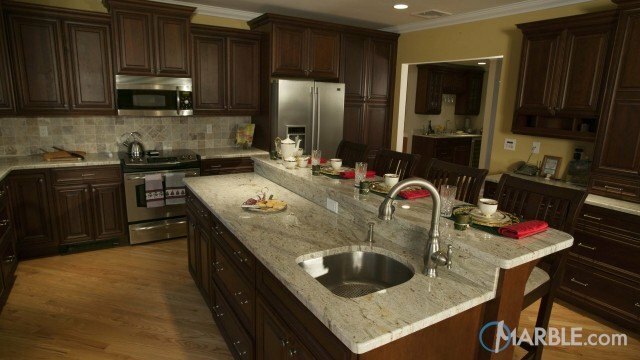 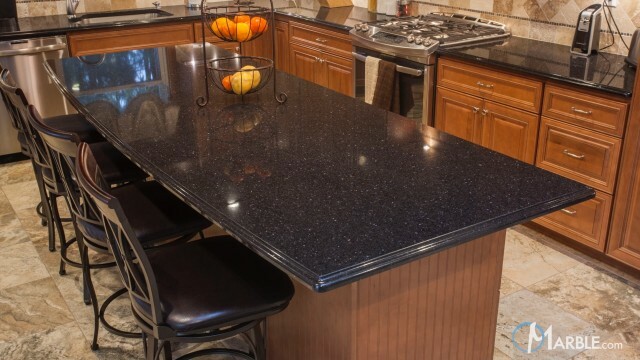 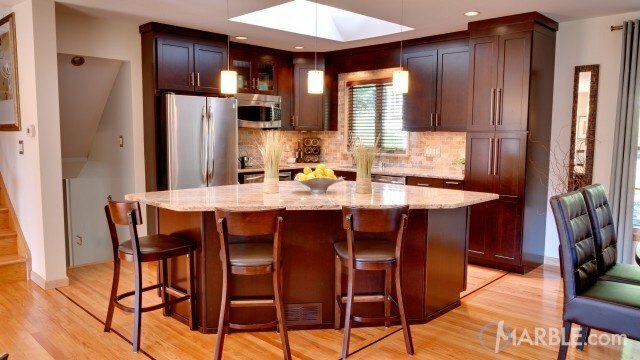 The counter tops are high gloss, which keeps cleaning simple. 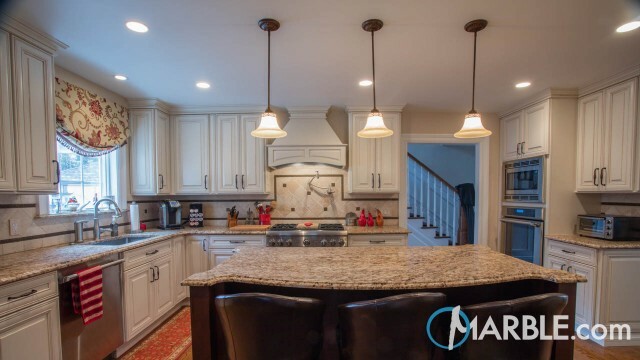 The brown paint in the room and the white molding go together perfectly.